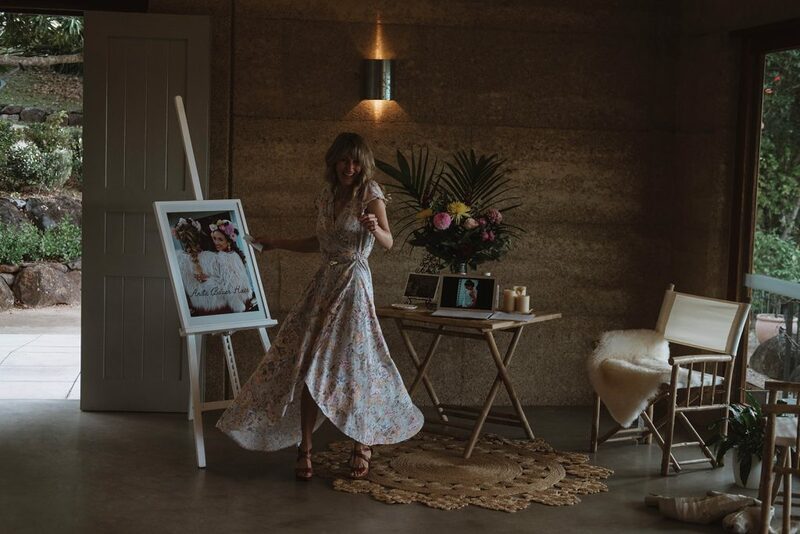 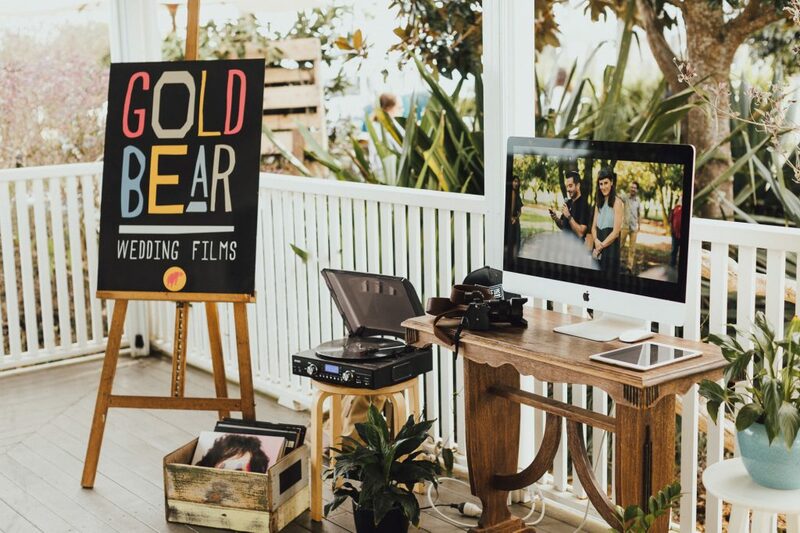 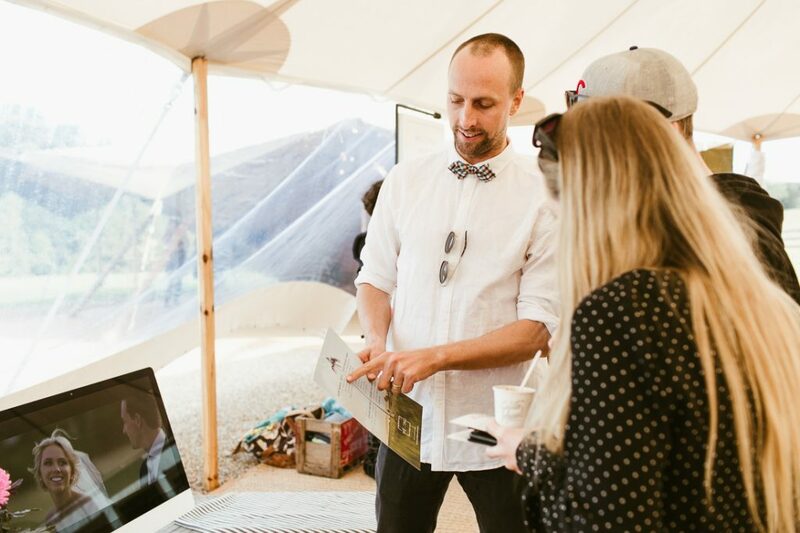 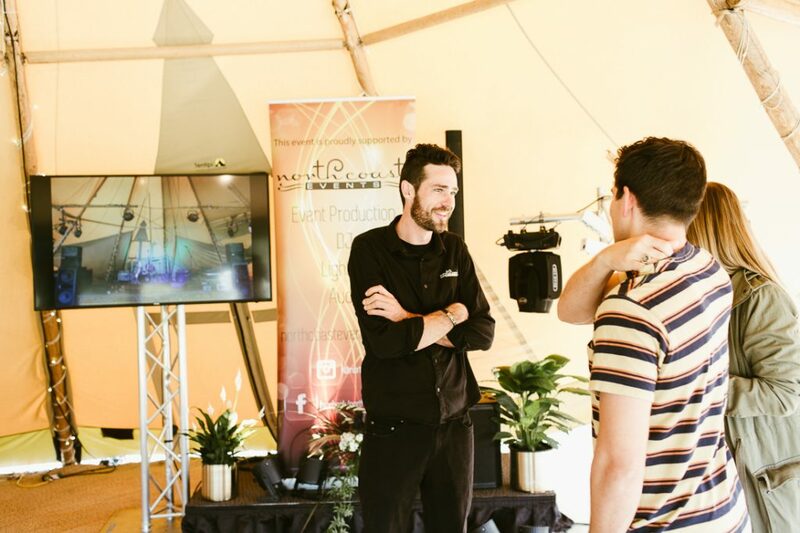 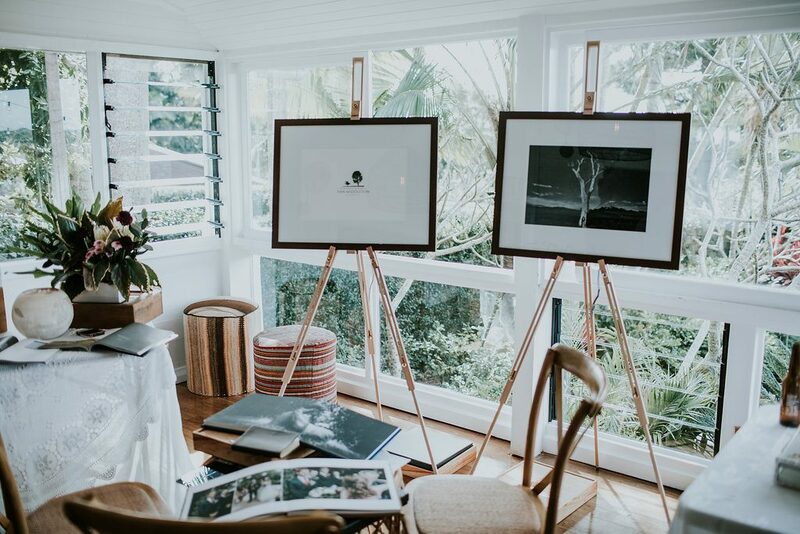 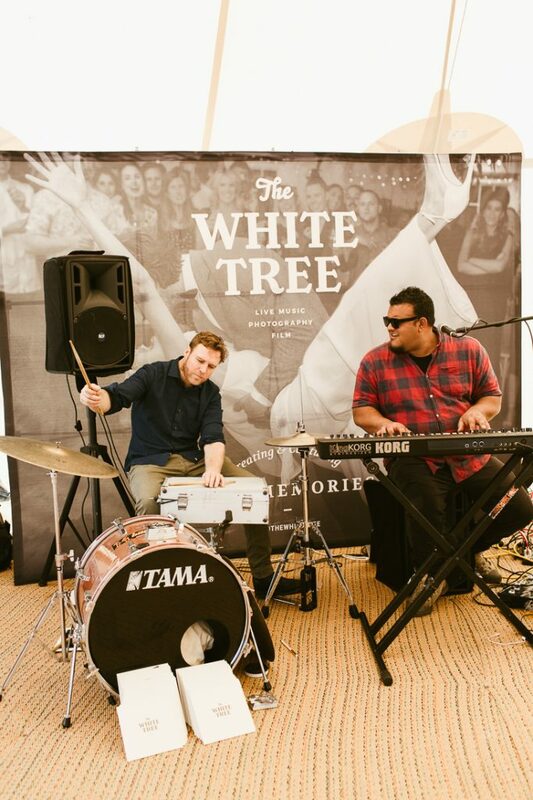 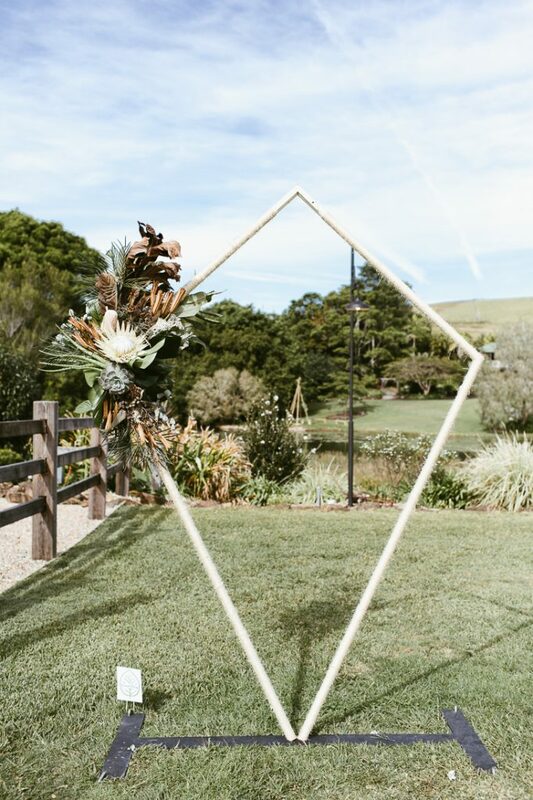 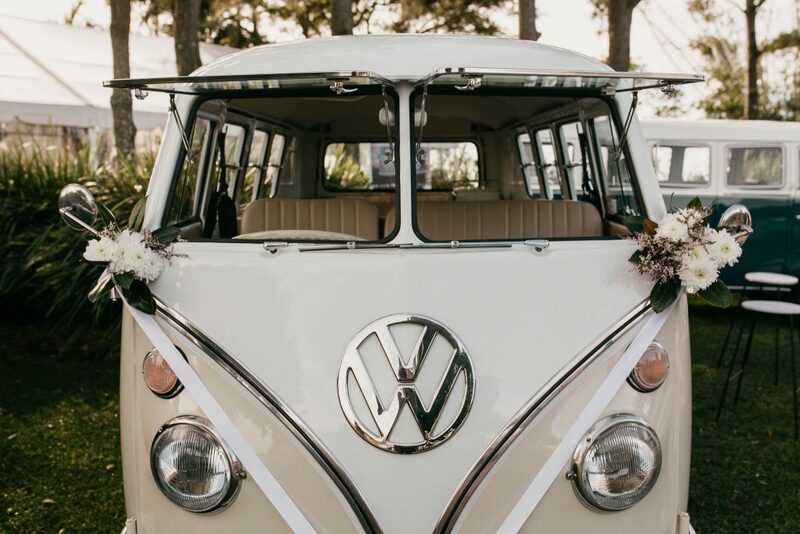 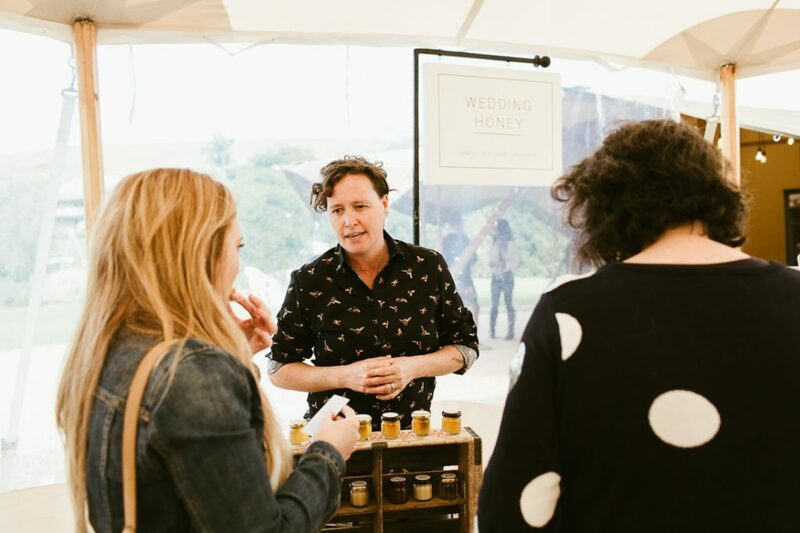 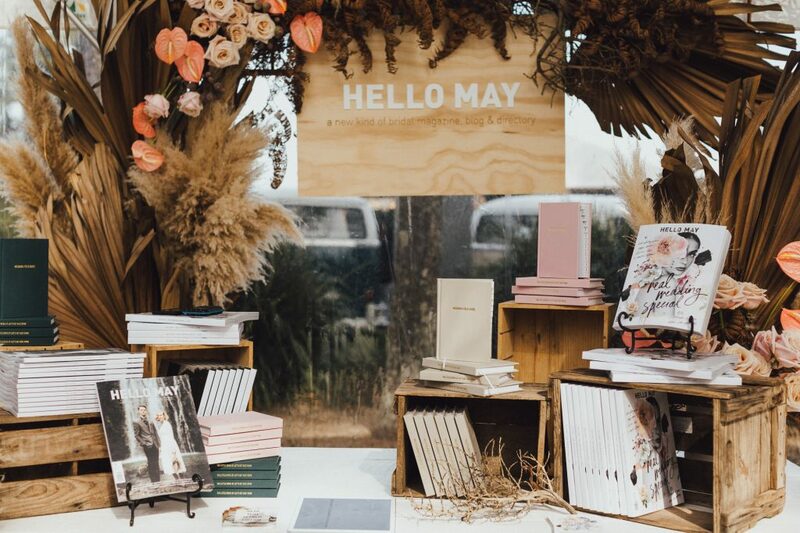 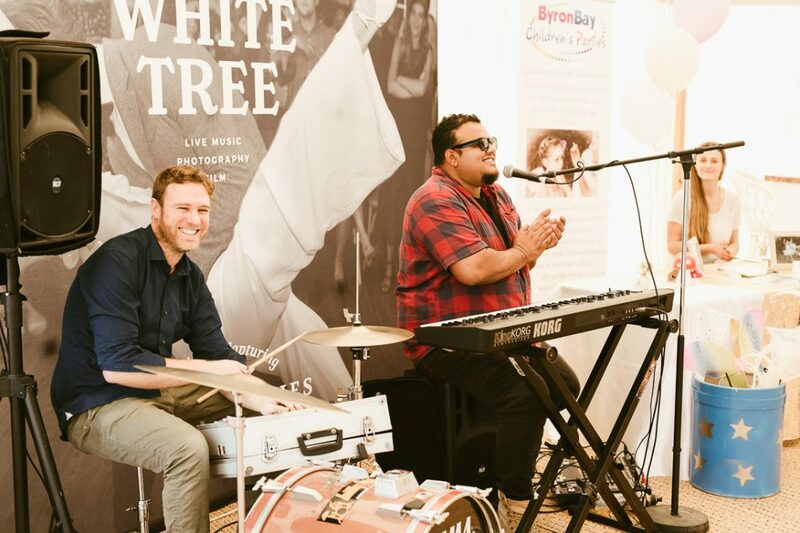 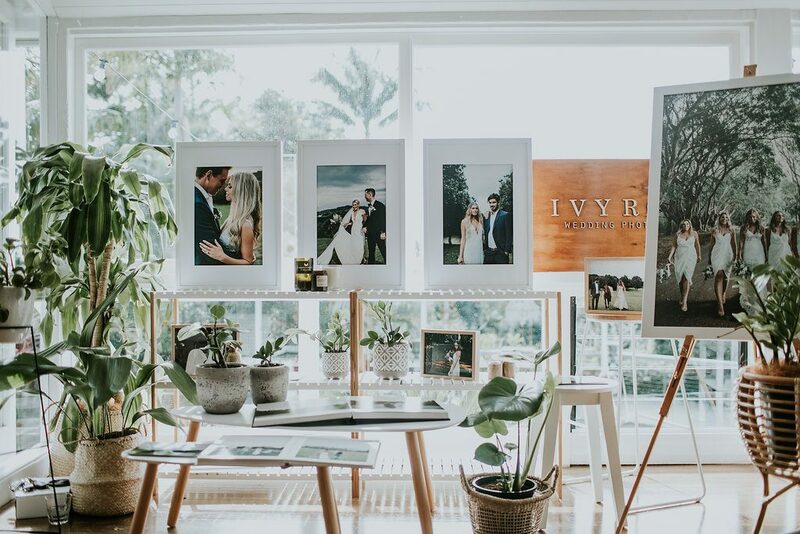 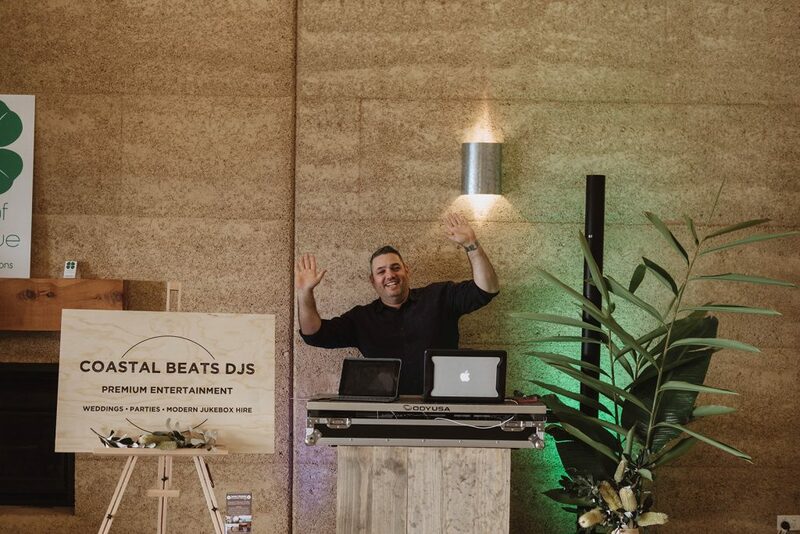 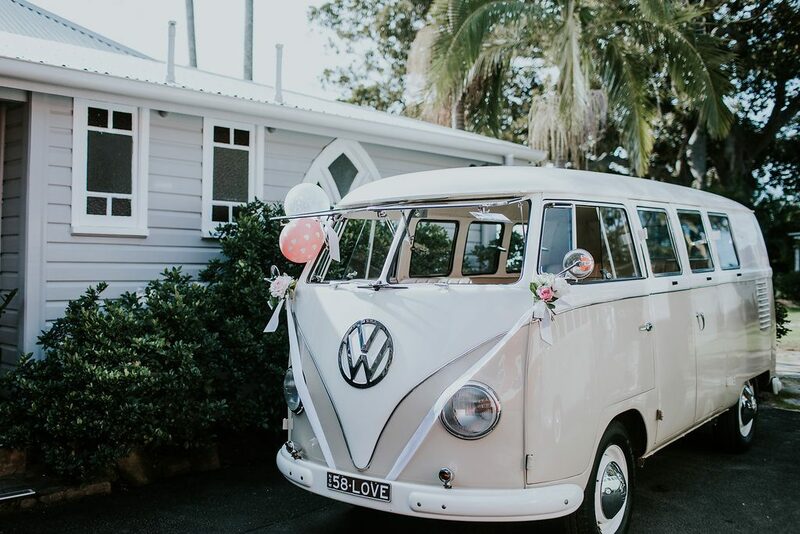 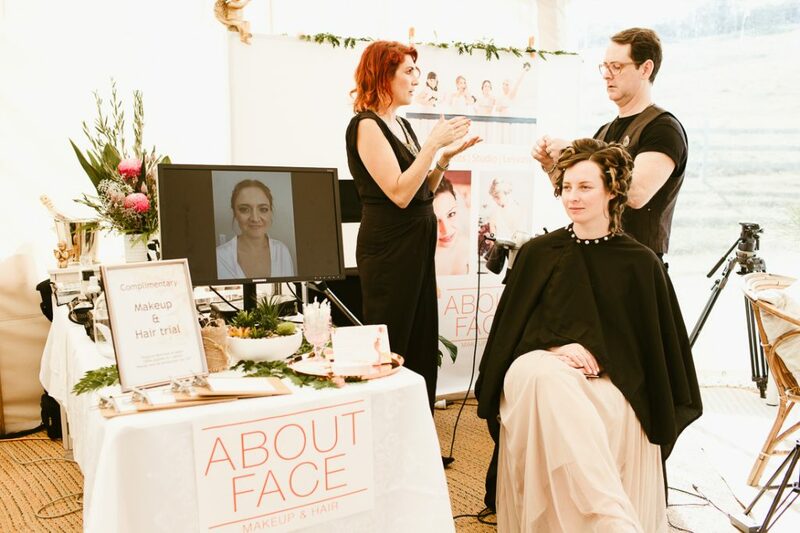 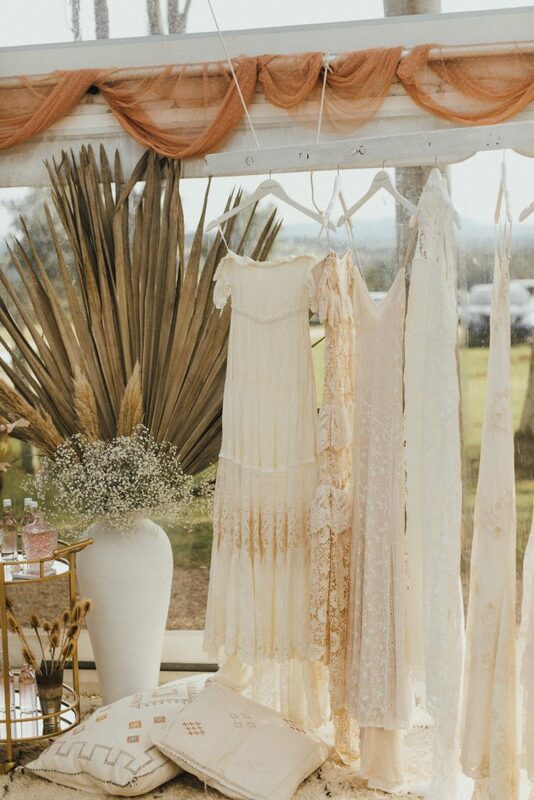 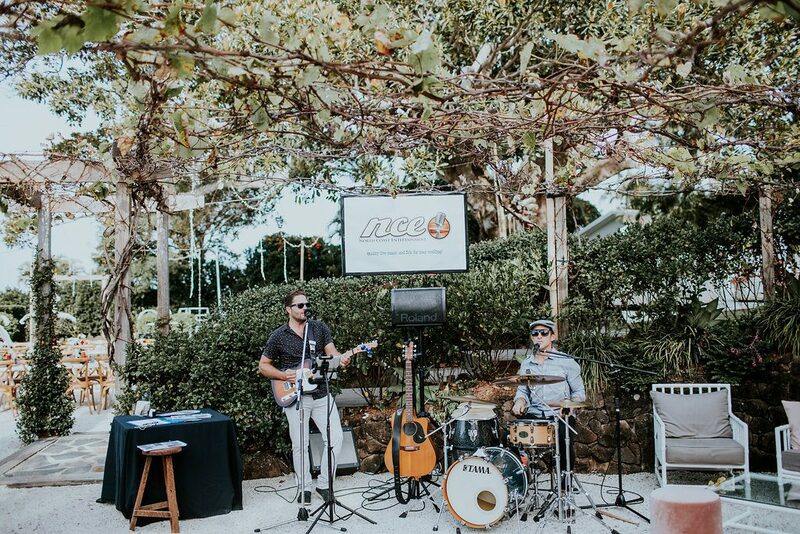 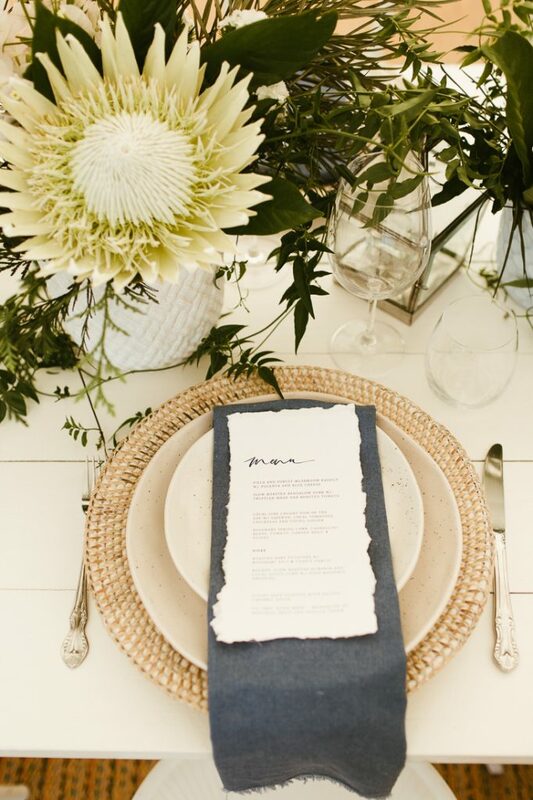 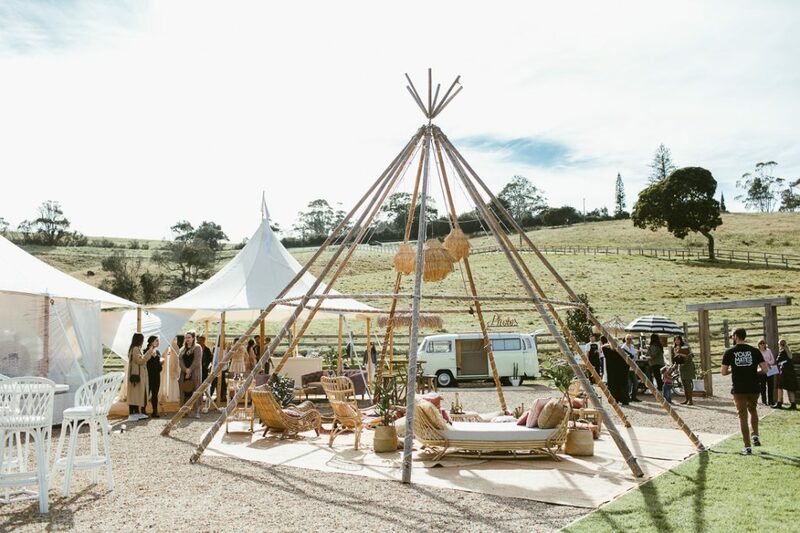 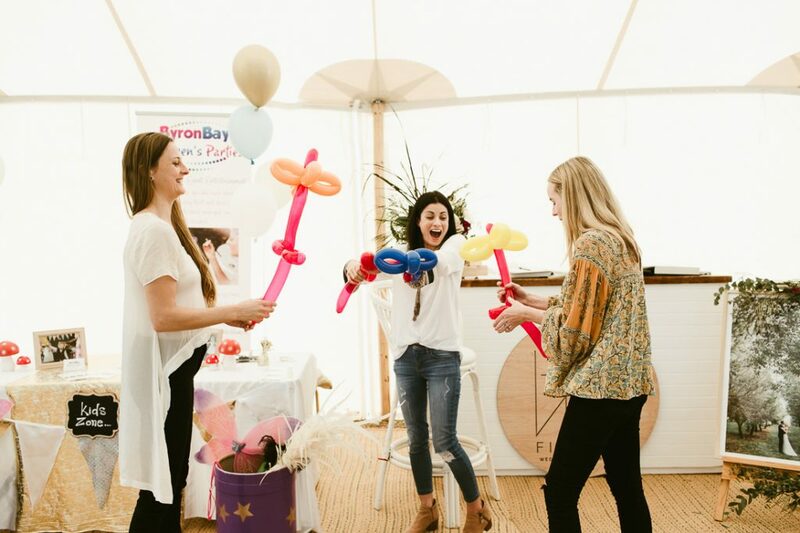 On Saturday, June 30th, we celebrated our 7th annual Byron Bay Wedding Fair! 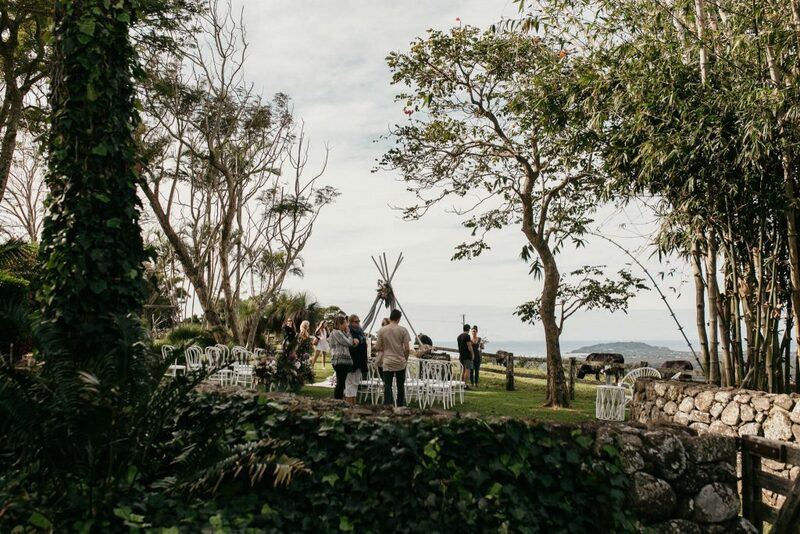 Beautiful weather marked this colourful 23 degree winter’s day, attracting a mix of 500 local and interstate couples to visit Byron Bay in search of their dream wedding venue and preferred suppliers. 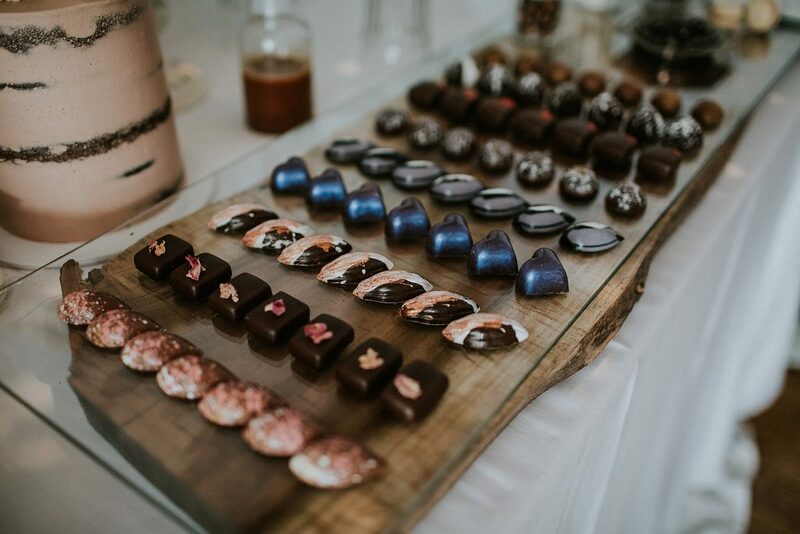 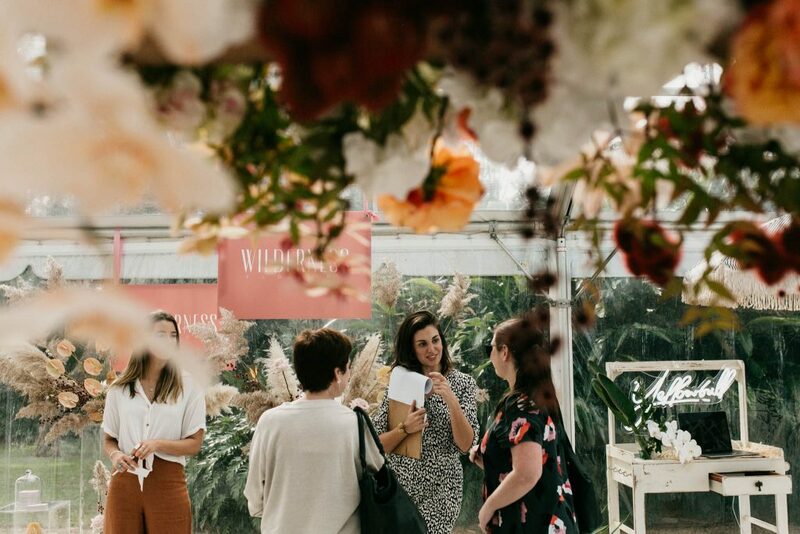 85 of the most most talented vendors and suppliers in the region showcased their creative flair across 4 of the 12 wedding venues which opened their doors. 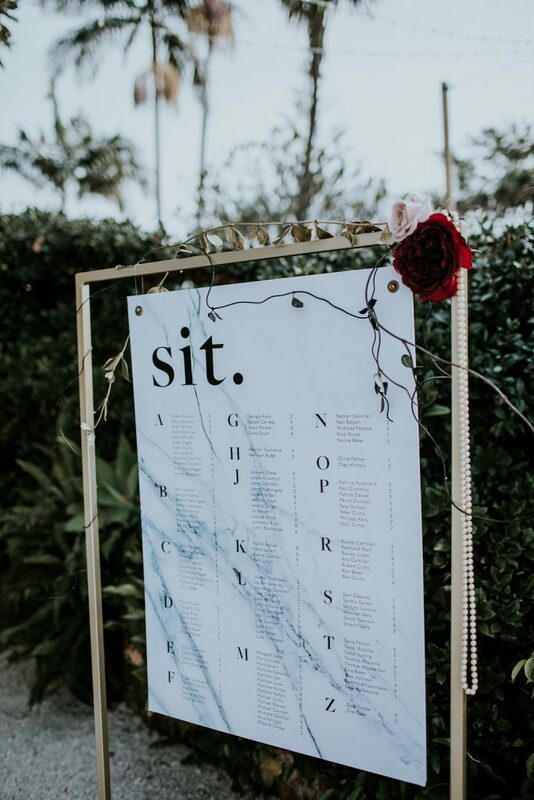 Every element of planning your special day was covered. 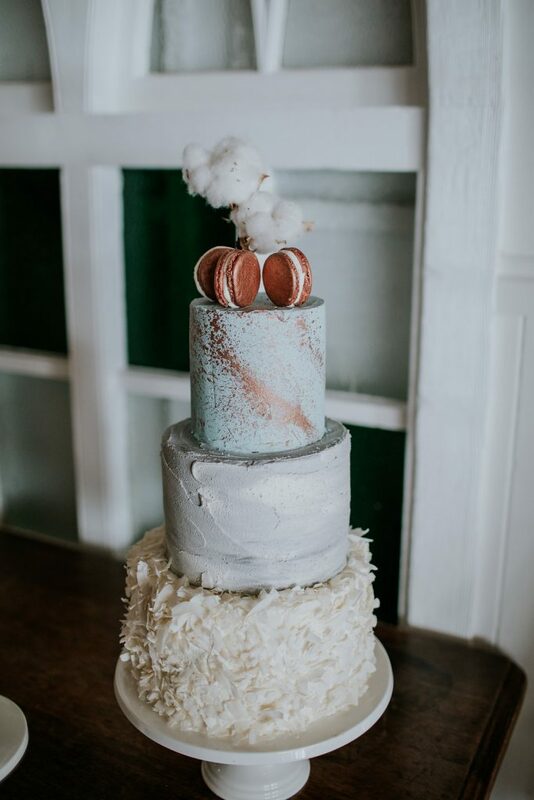 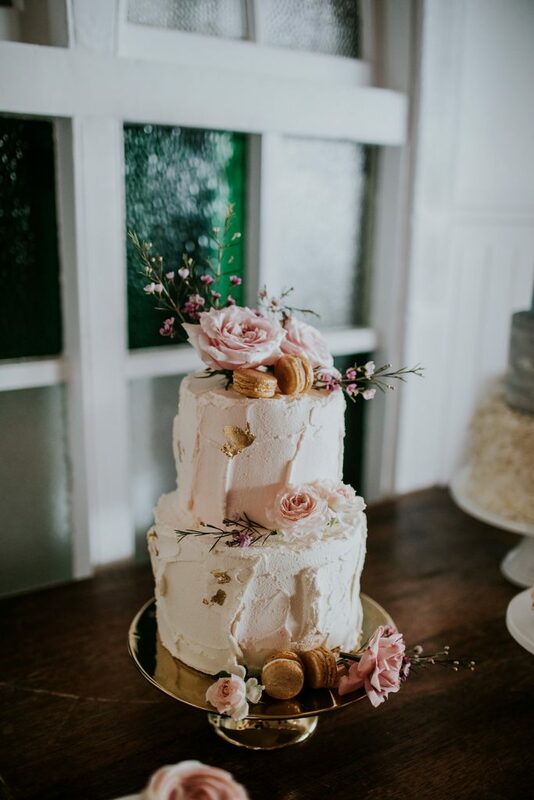 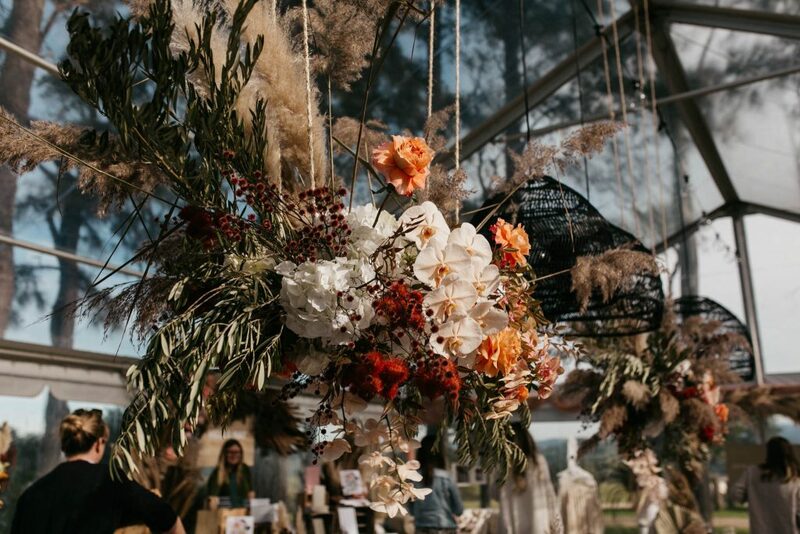 The fair was adorned with the latest on trend wedding table designs, arbours, and floral and cake displays that have left us in absolute awe! 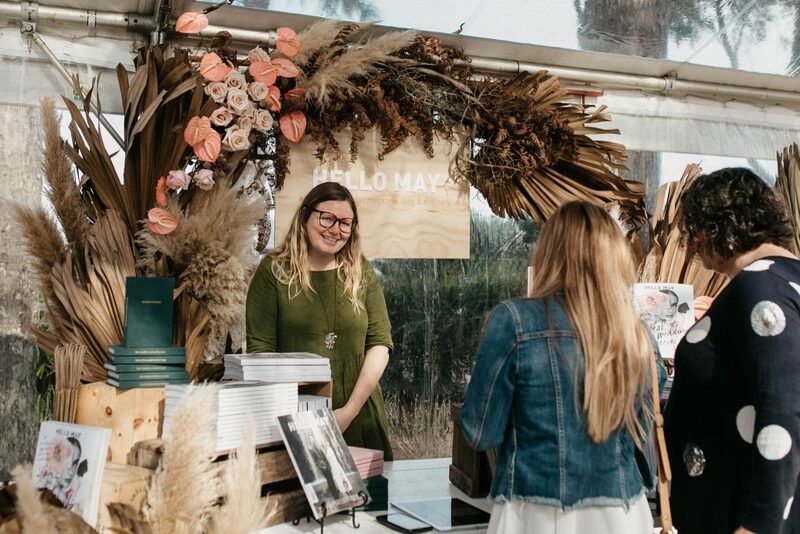 We were, and still are, amazed by the talent that cultivated this year’s fair. 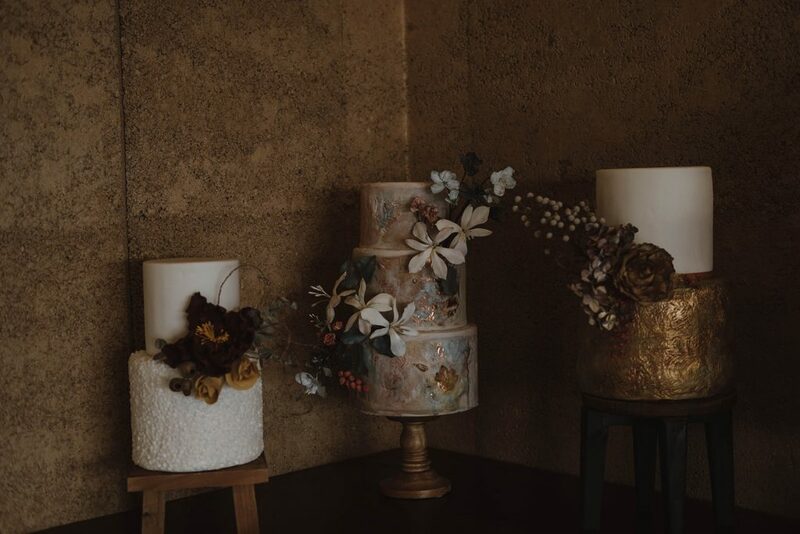 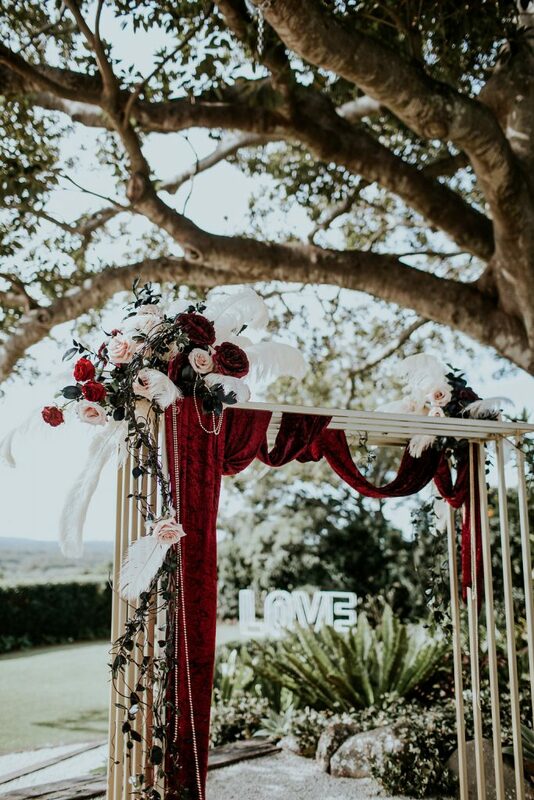 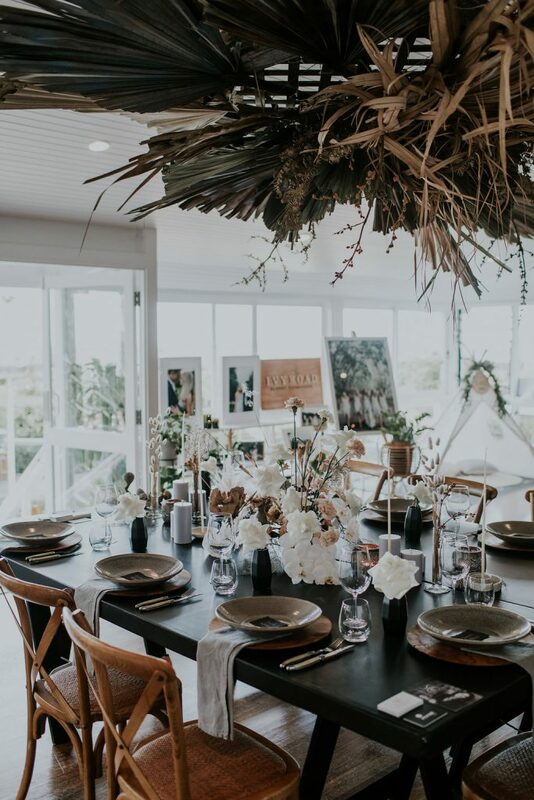 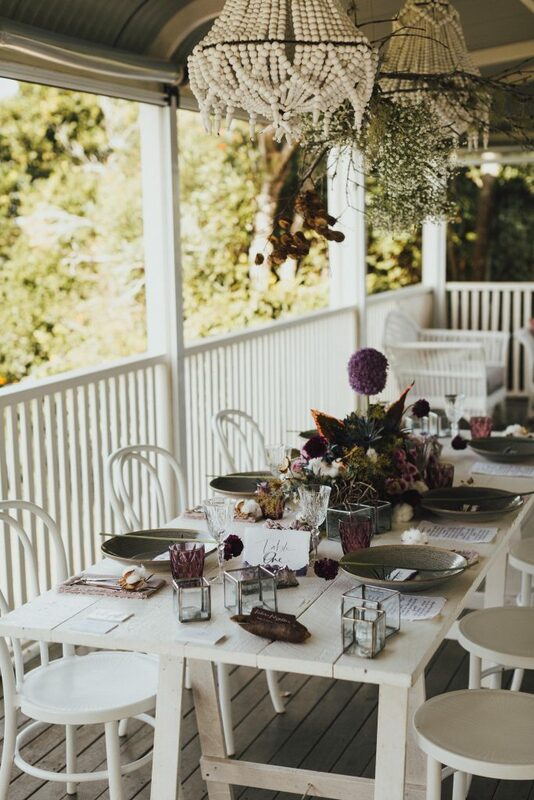 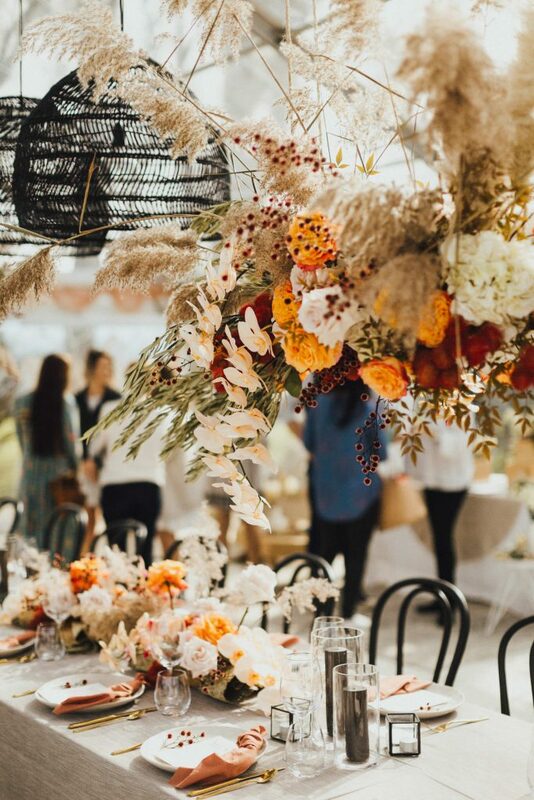 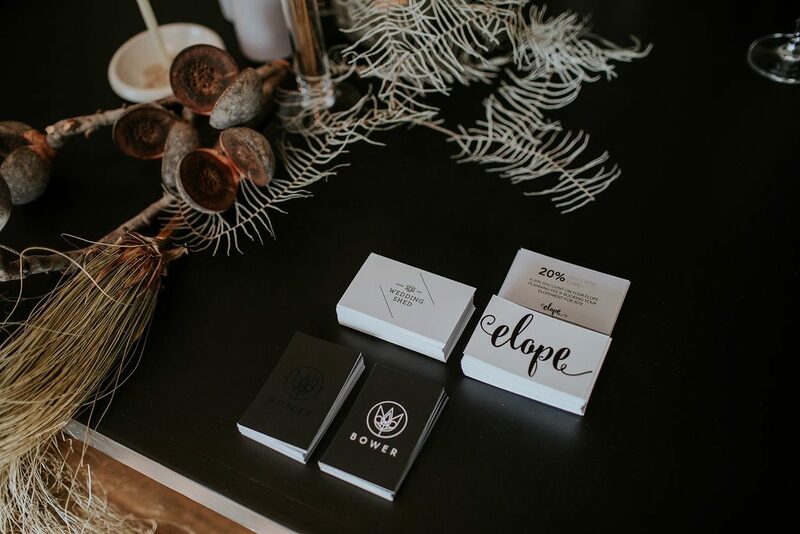 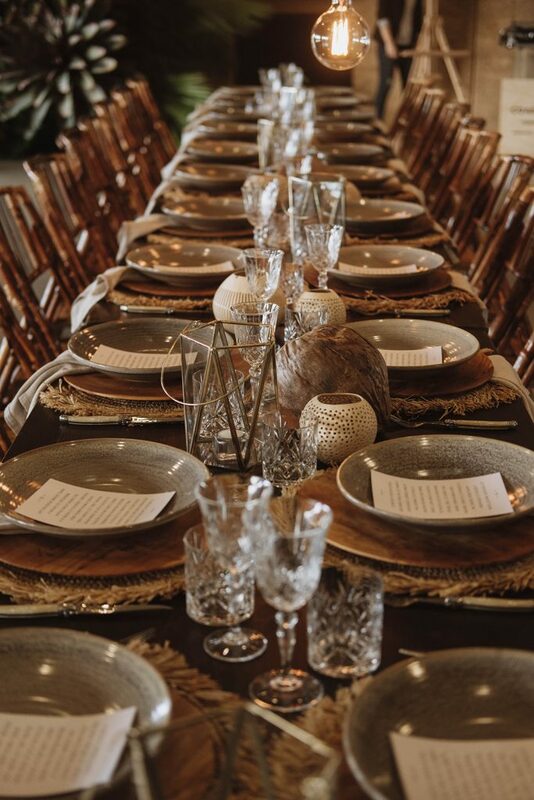 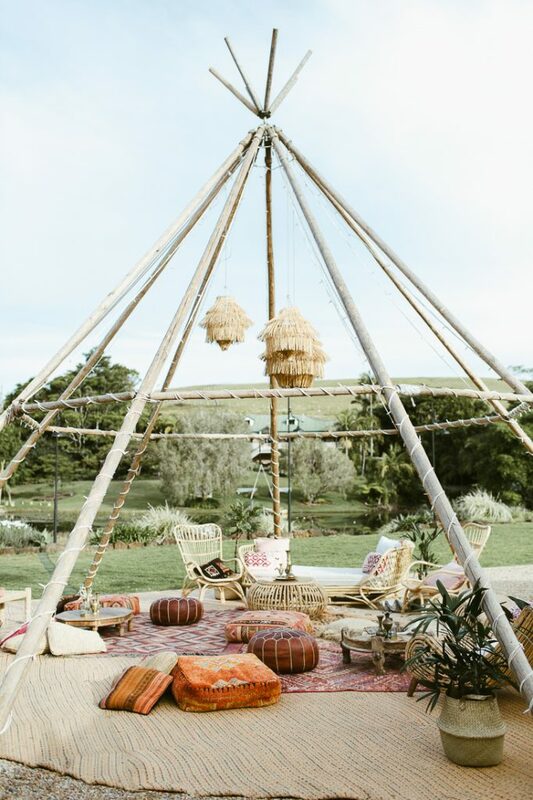 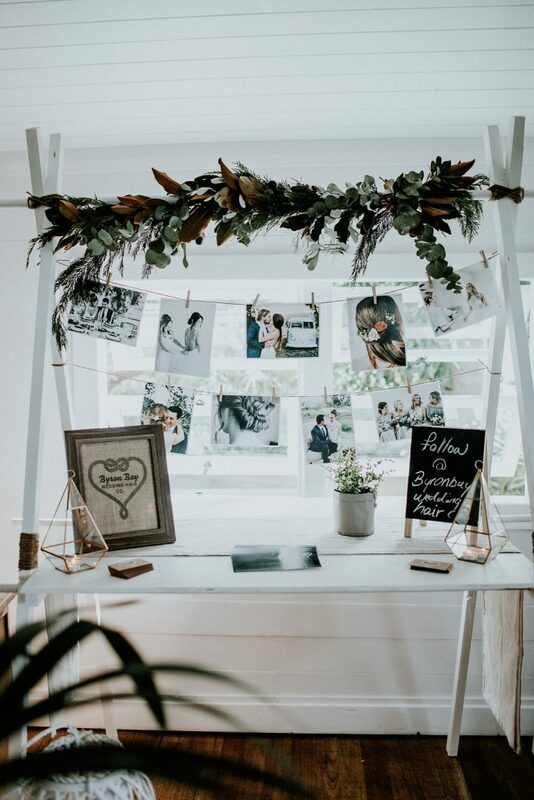 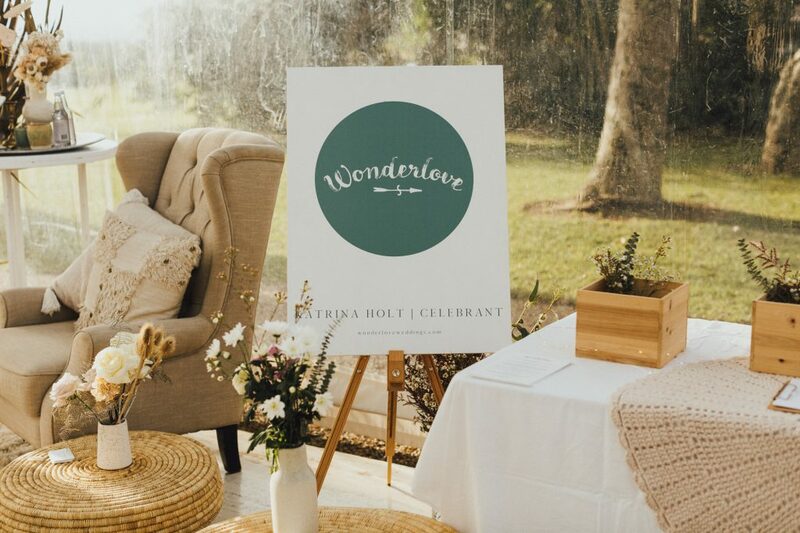 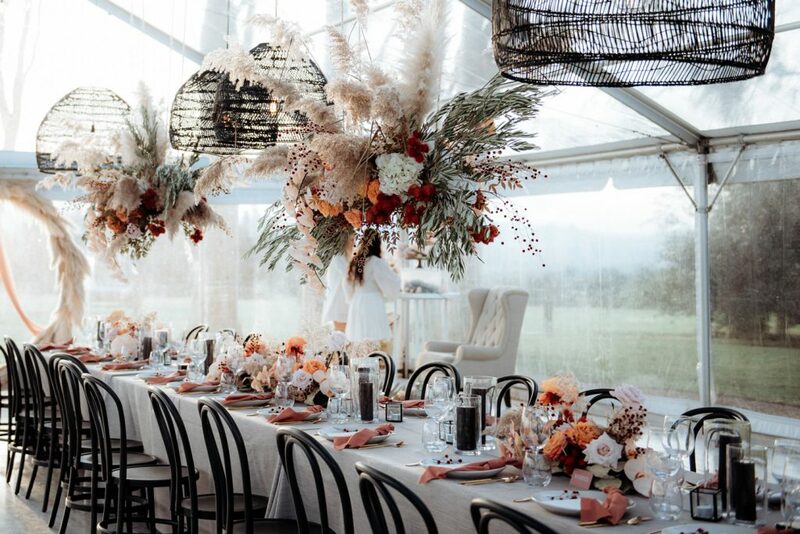 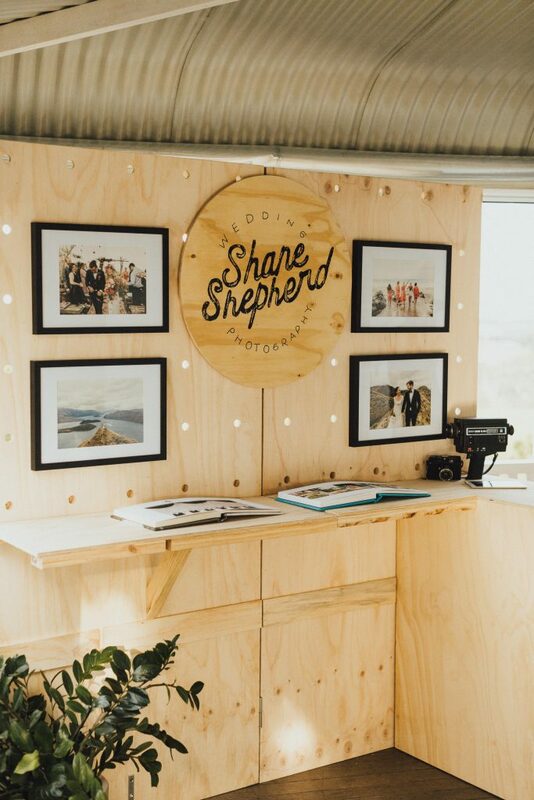 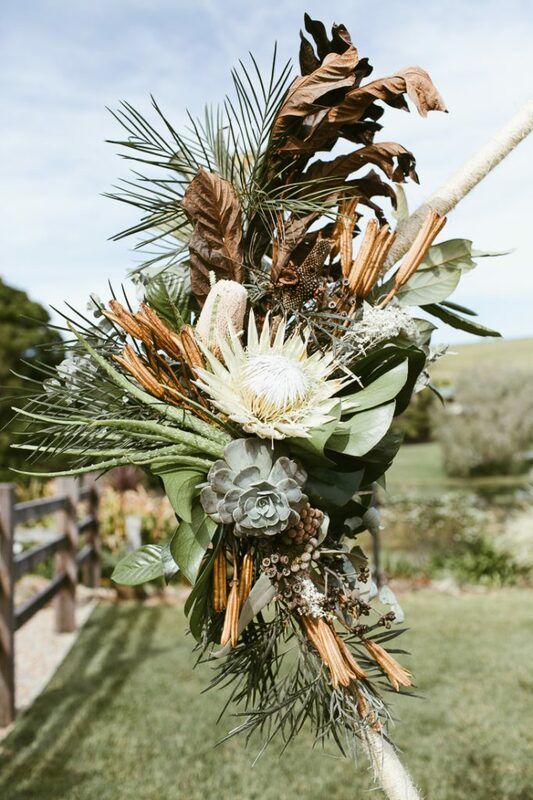 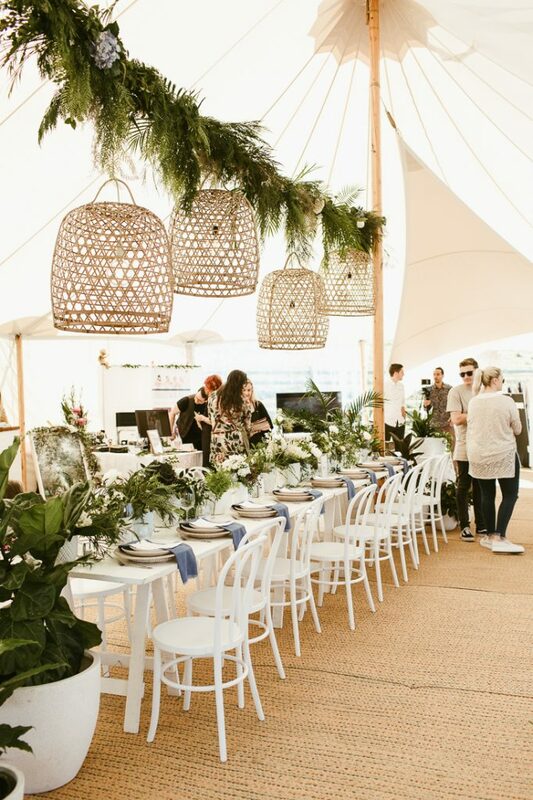 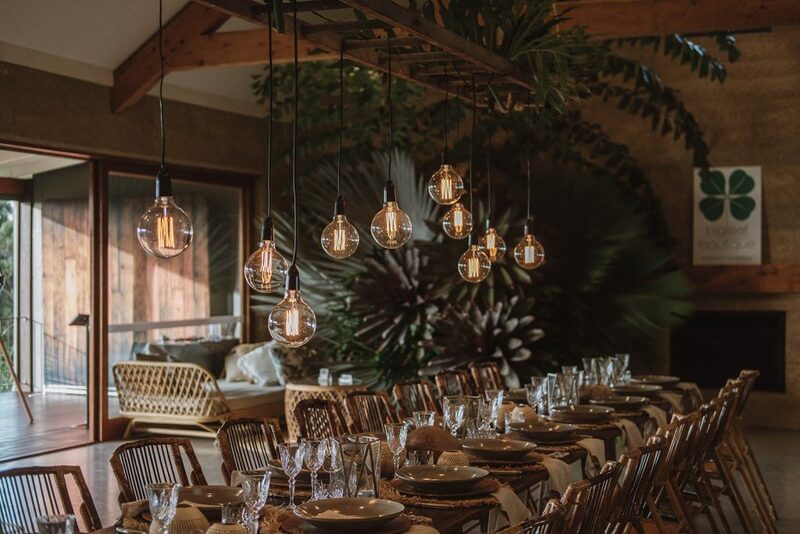 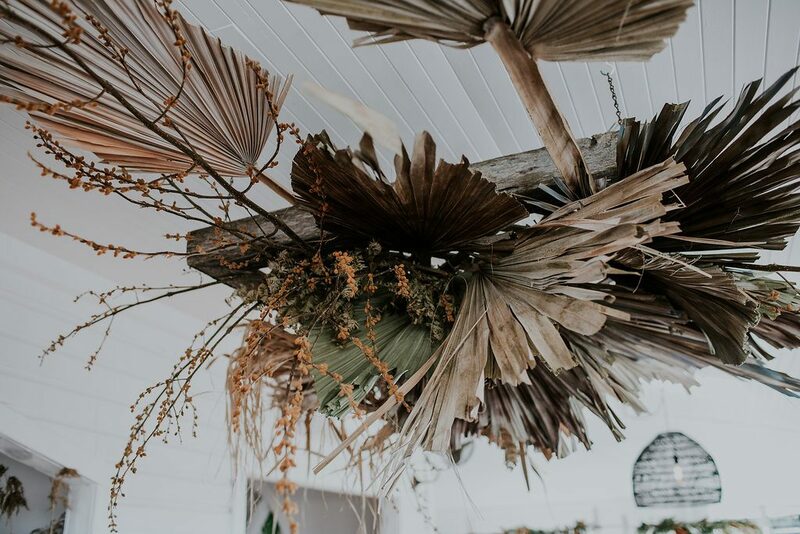 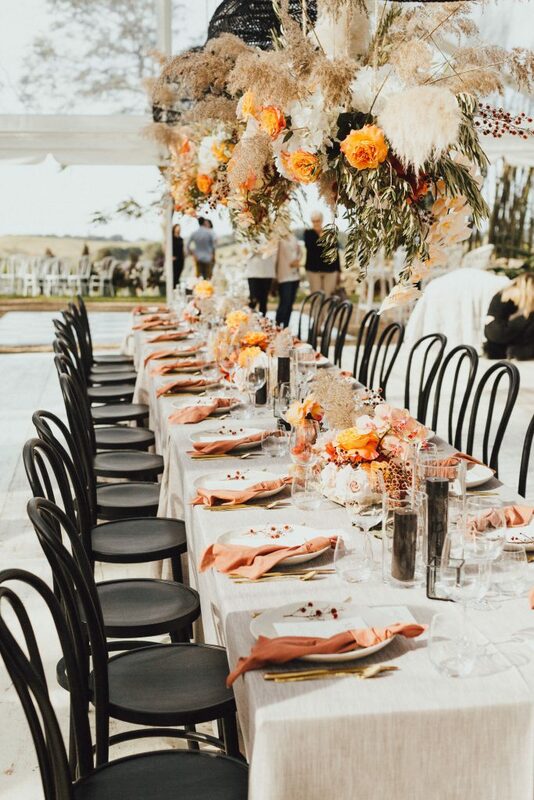 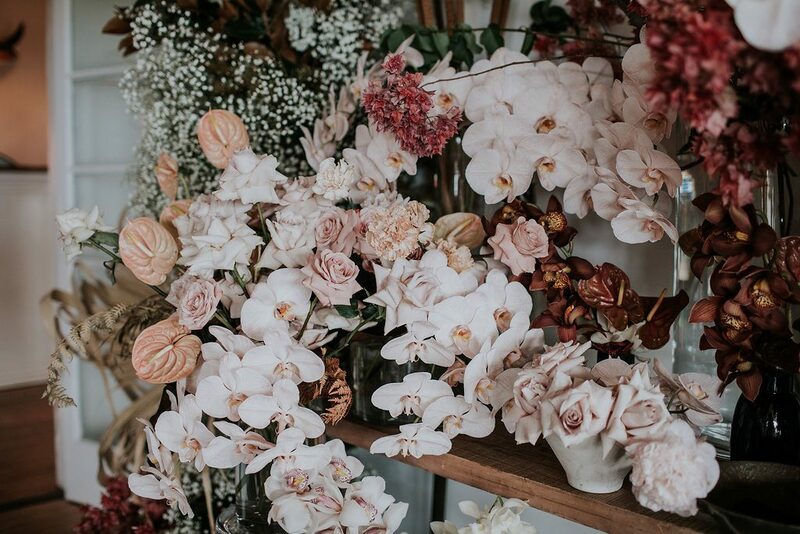 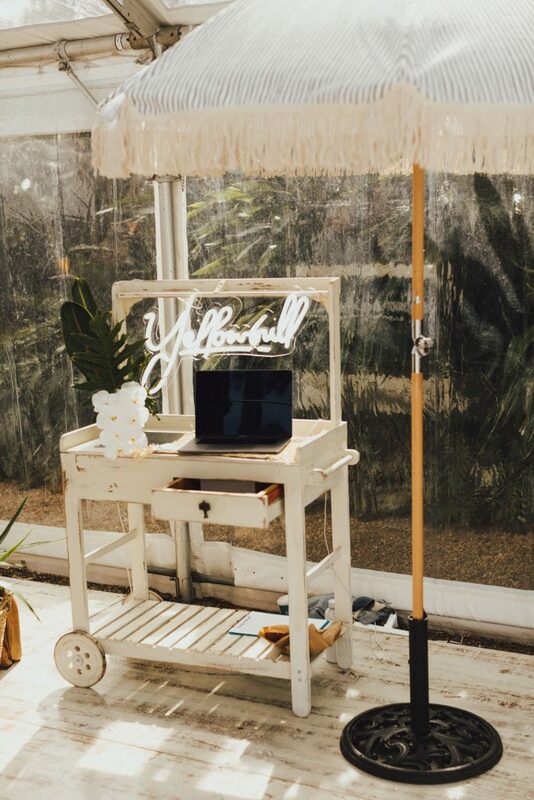 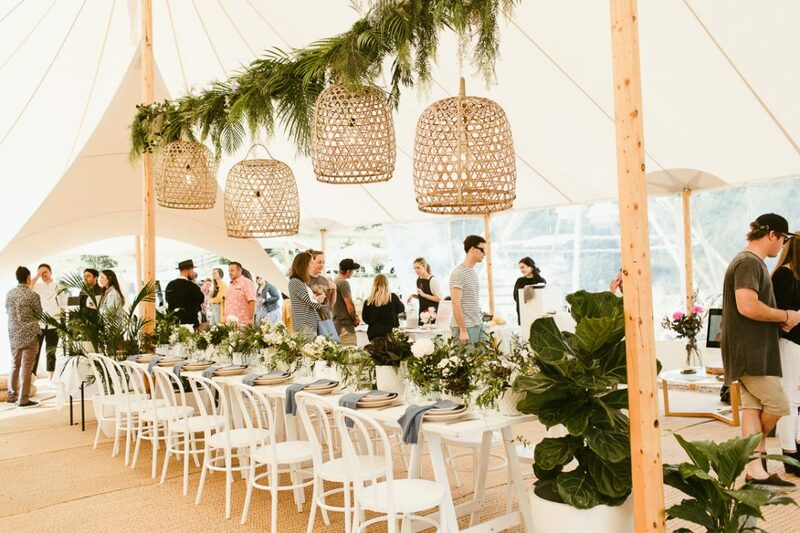 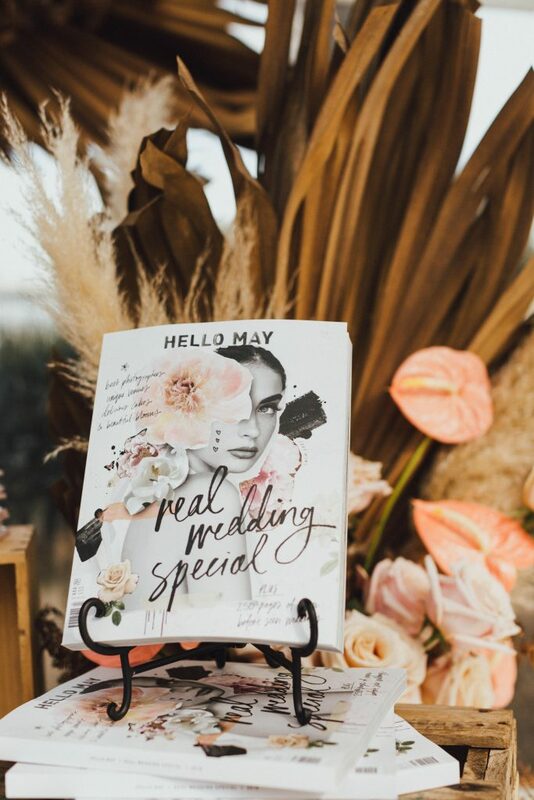 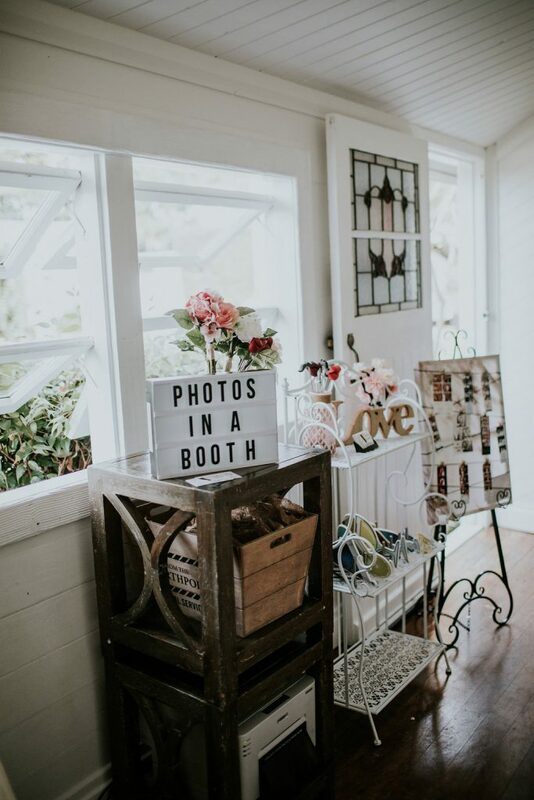 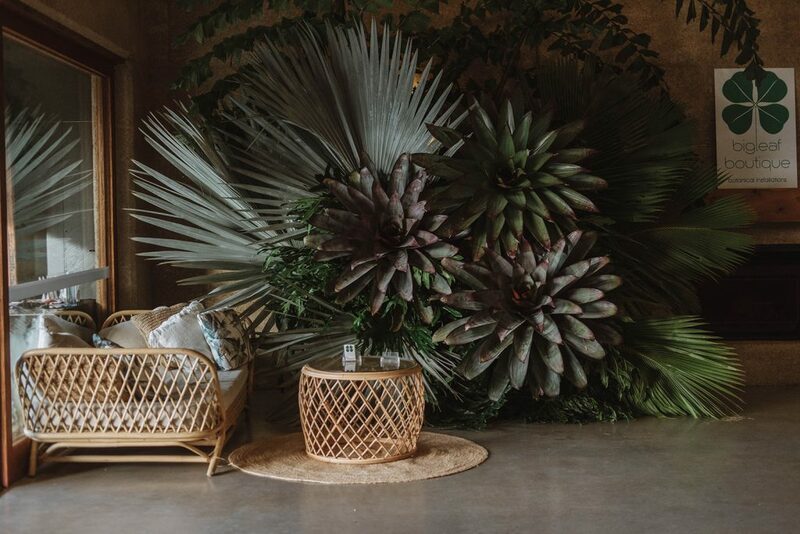 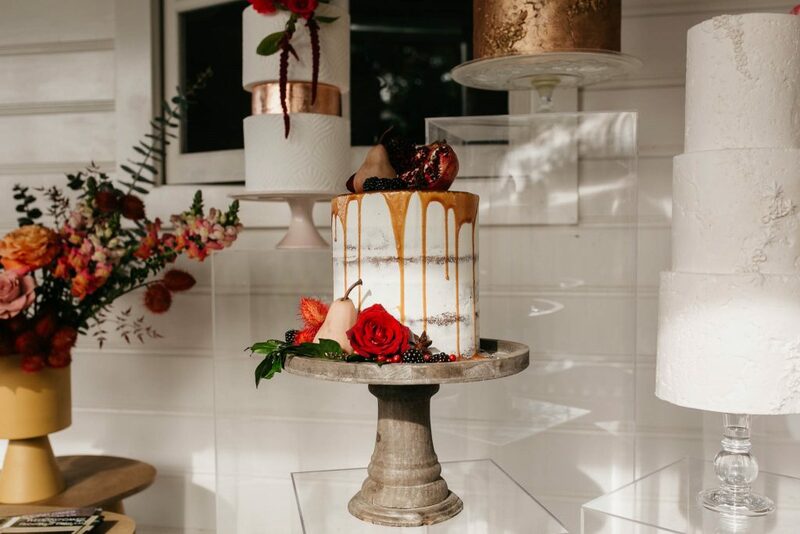 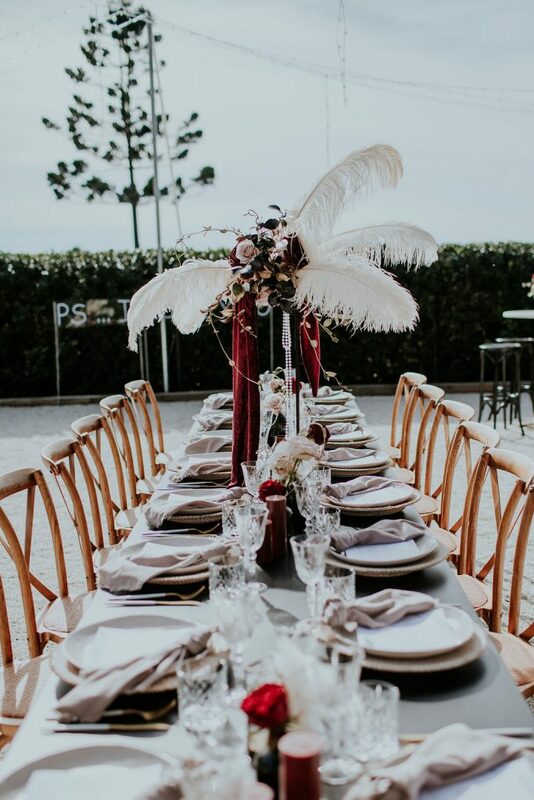 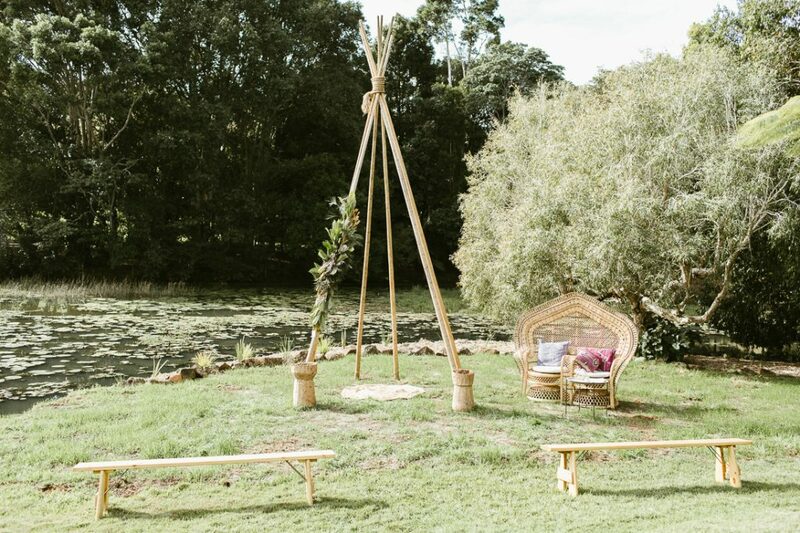 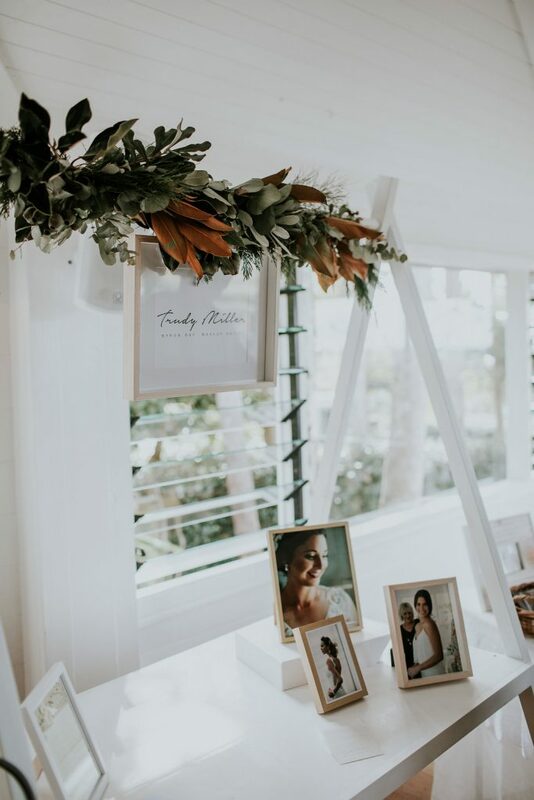 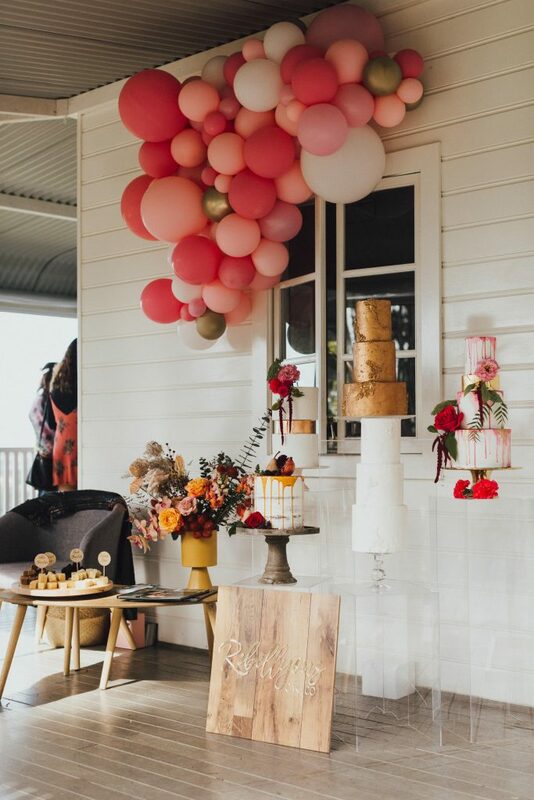 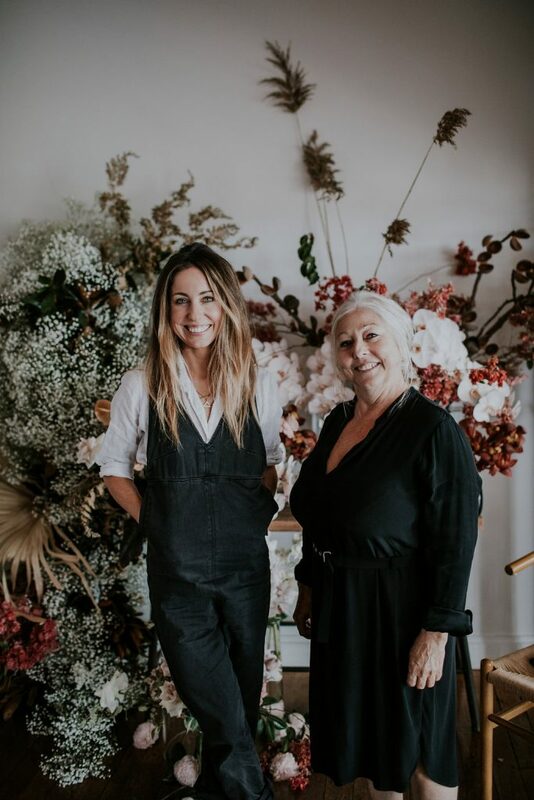 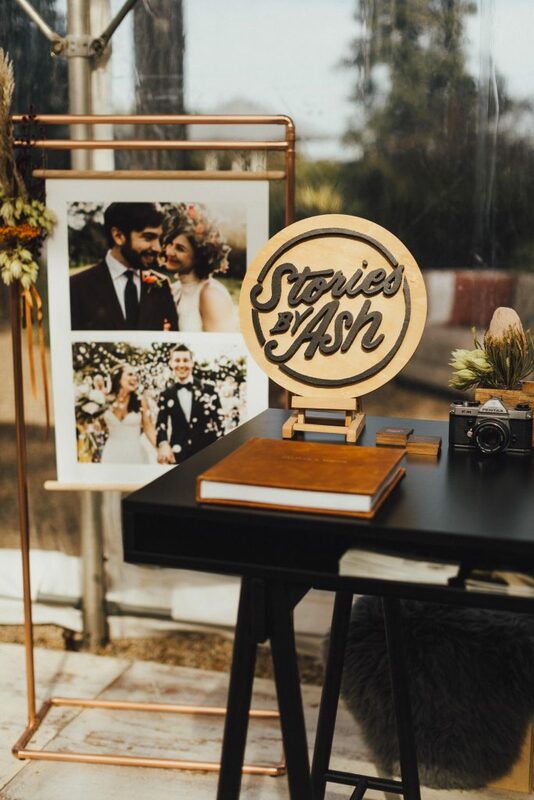 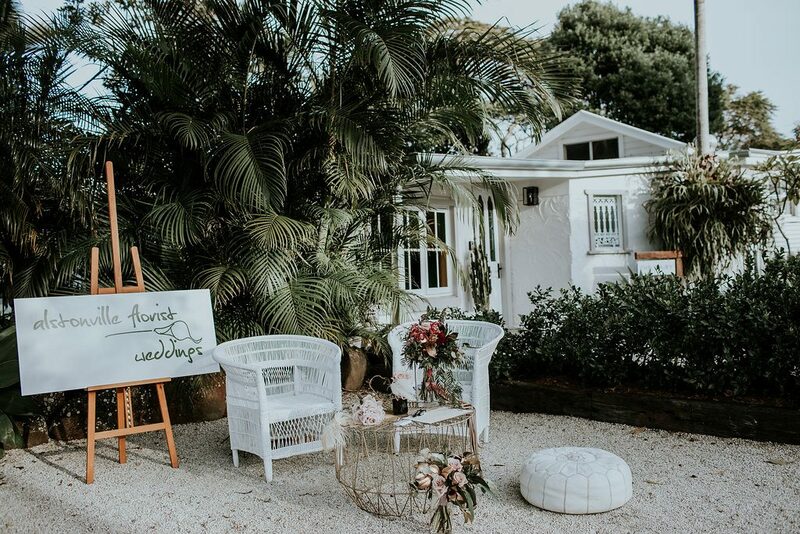 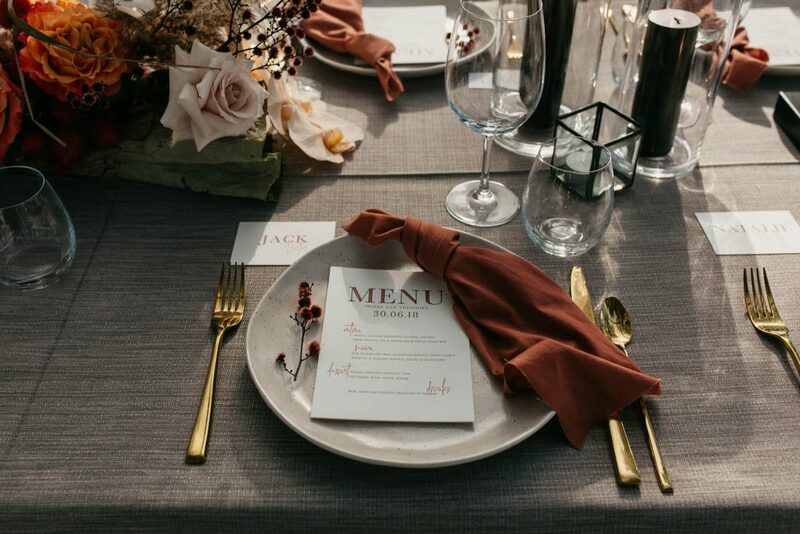 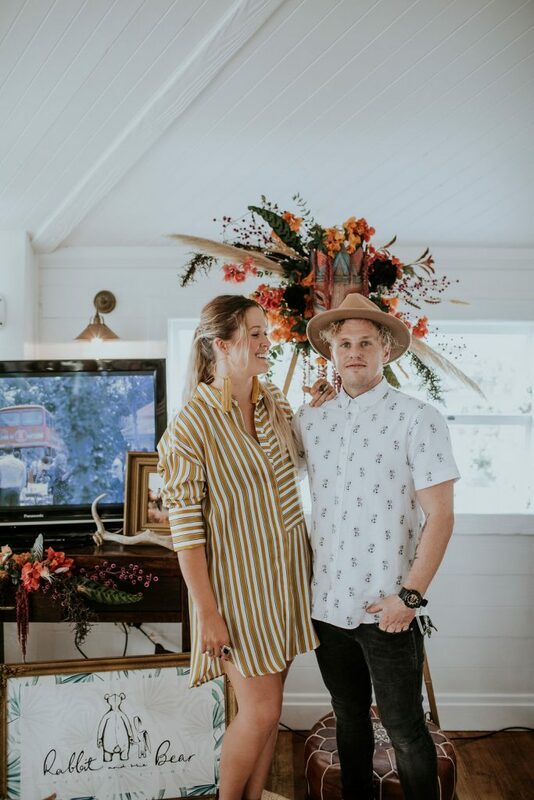 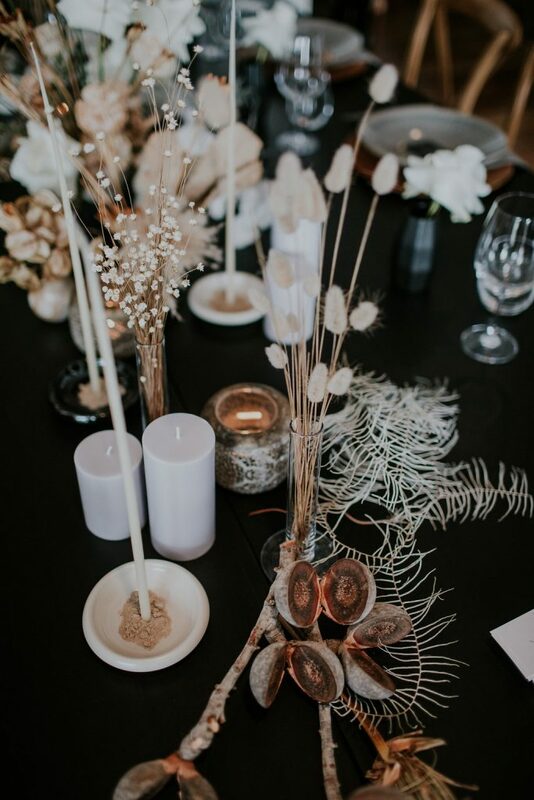 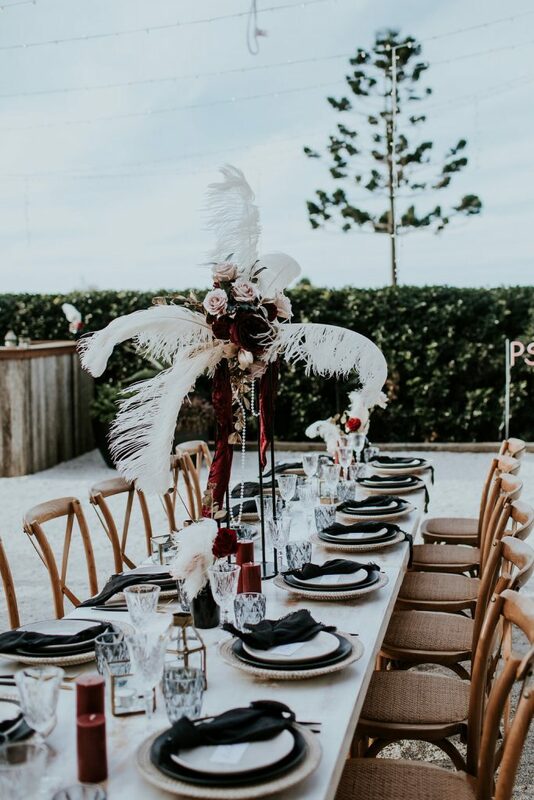 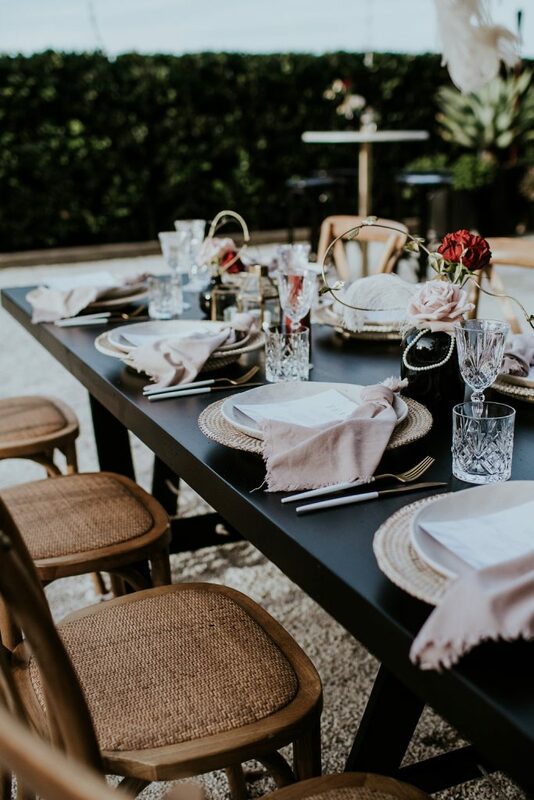 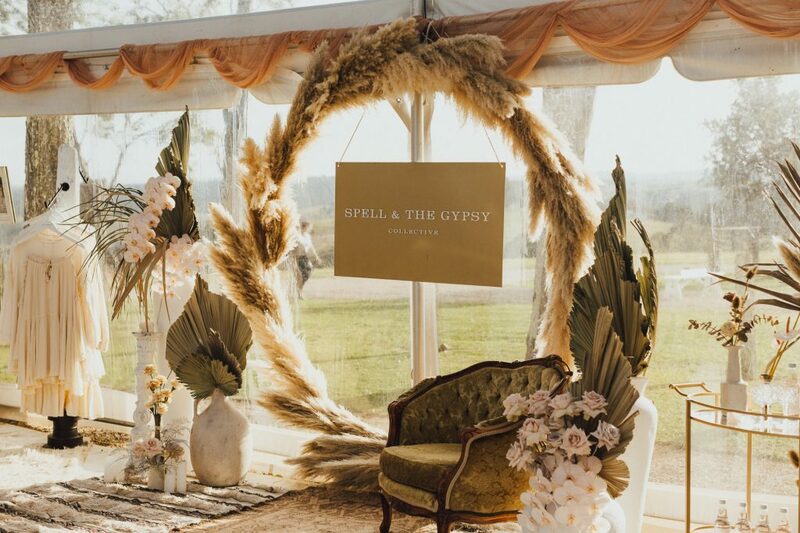 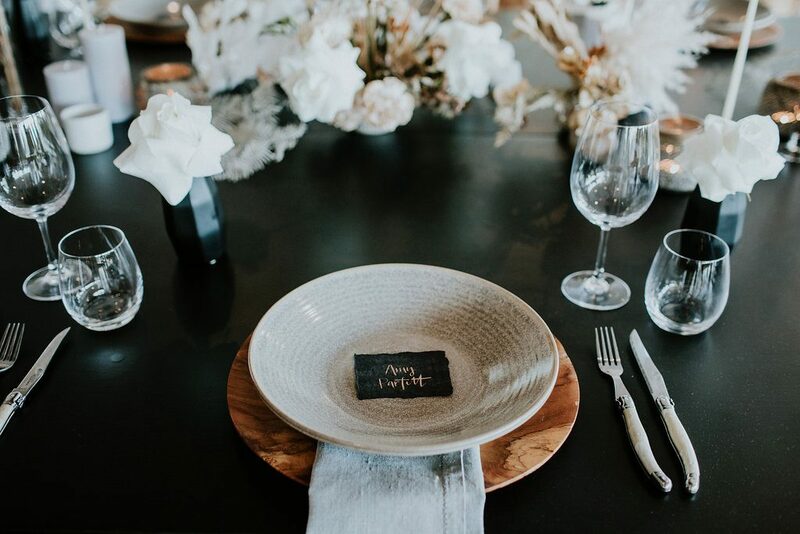 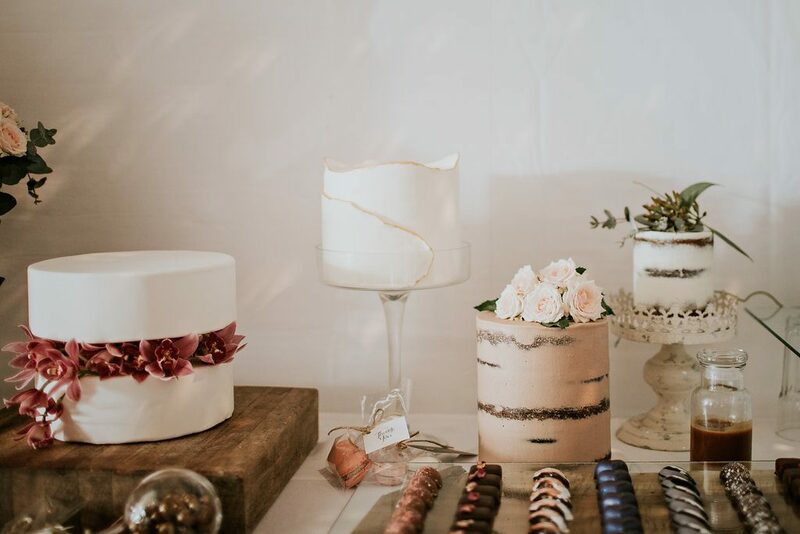 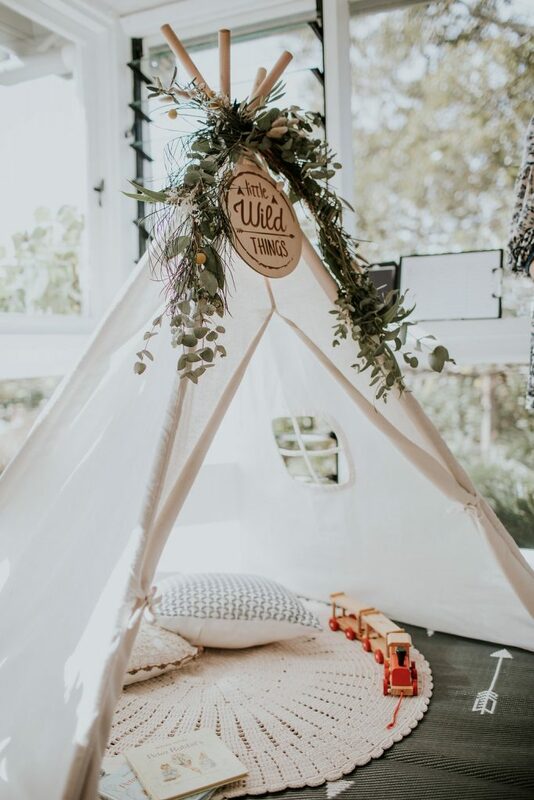 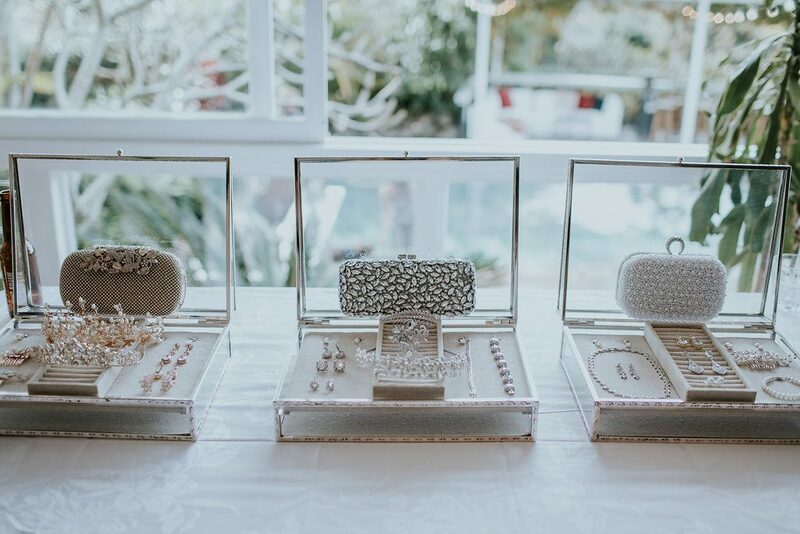 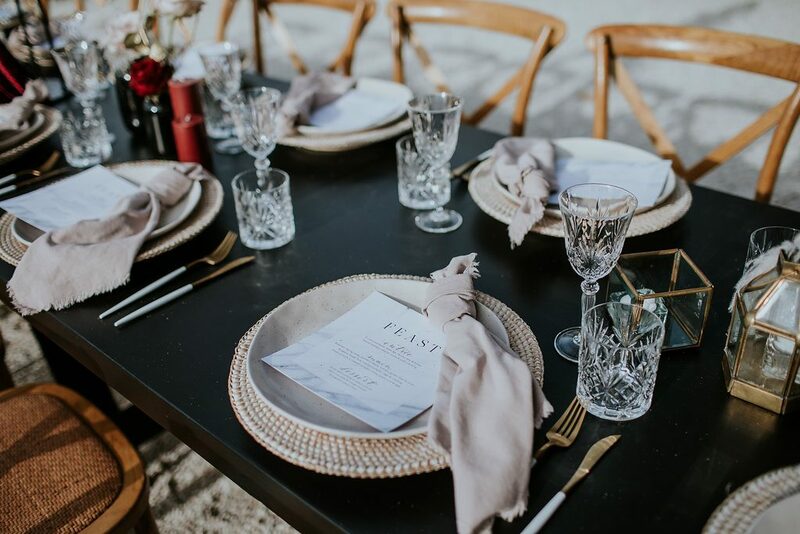 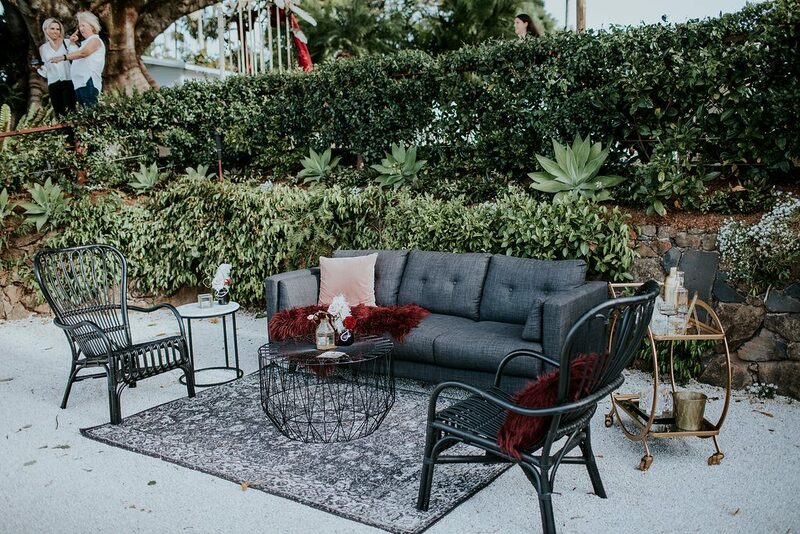 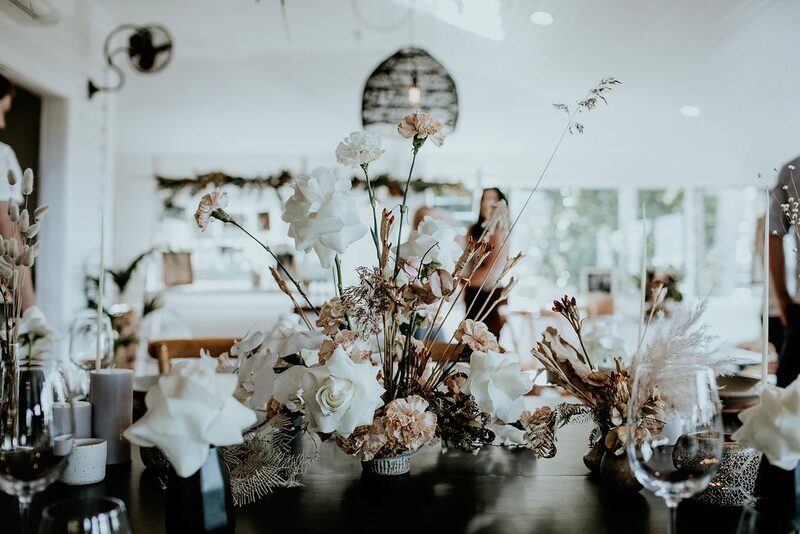 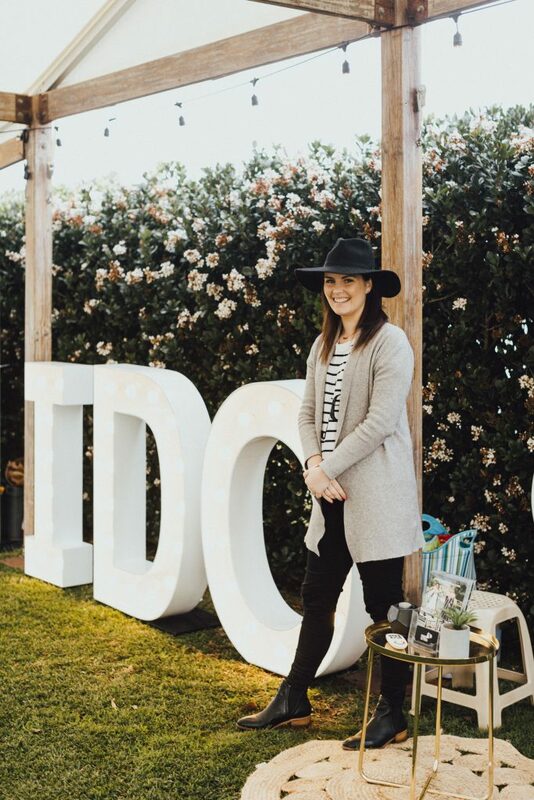 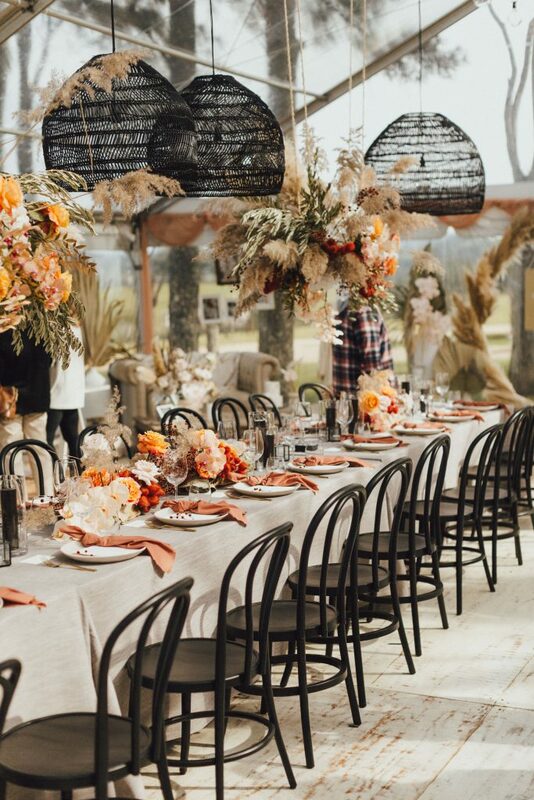 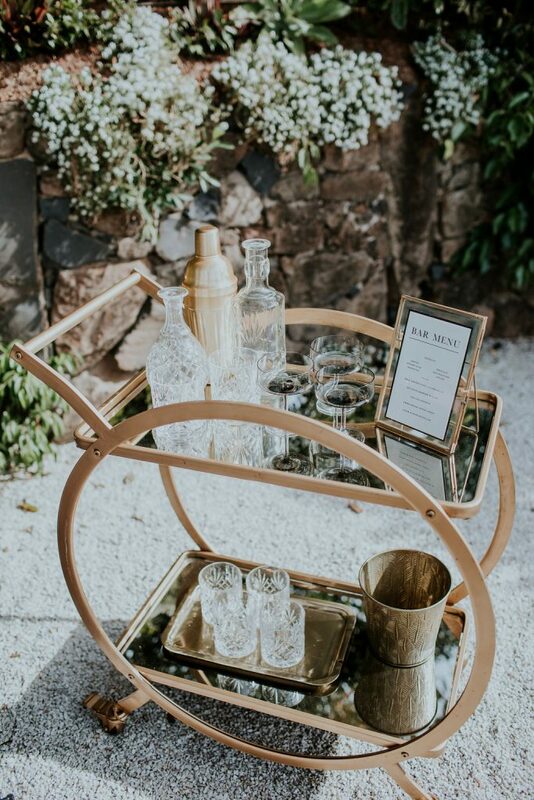 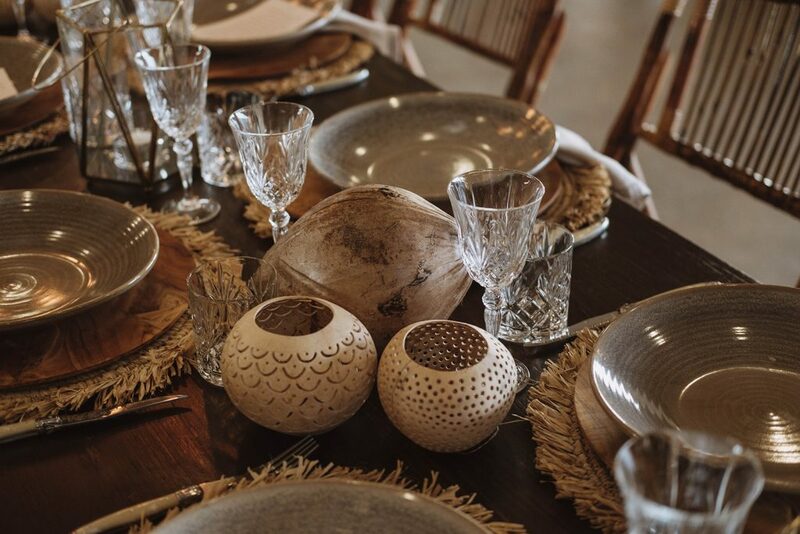 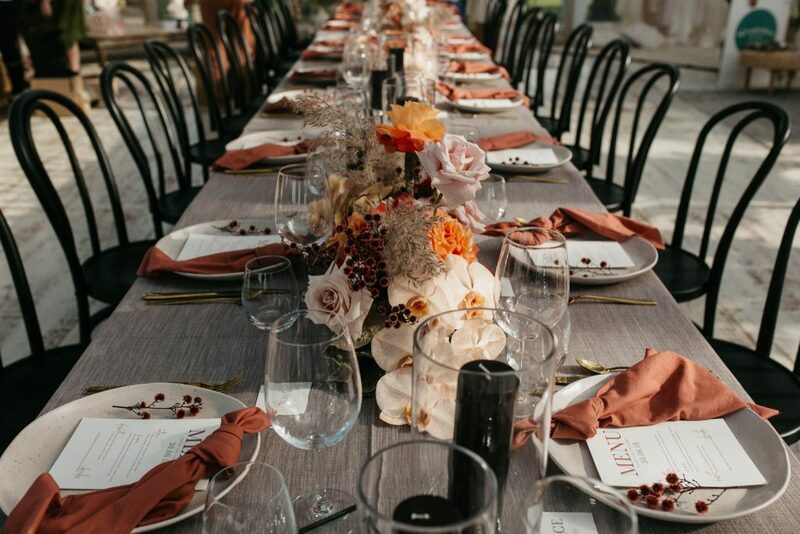 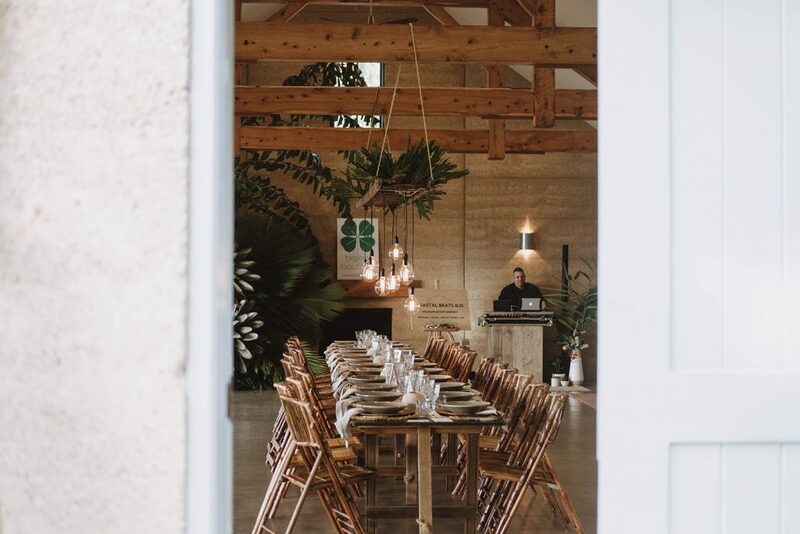 The ladies behind The Wedding Shed shook up every pre-perceived idea on wedding styling, introducing new trends and pushing the boundaries of their creative talents. 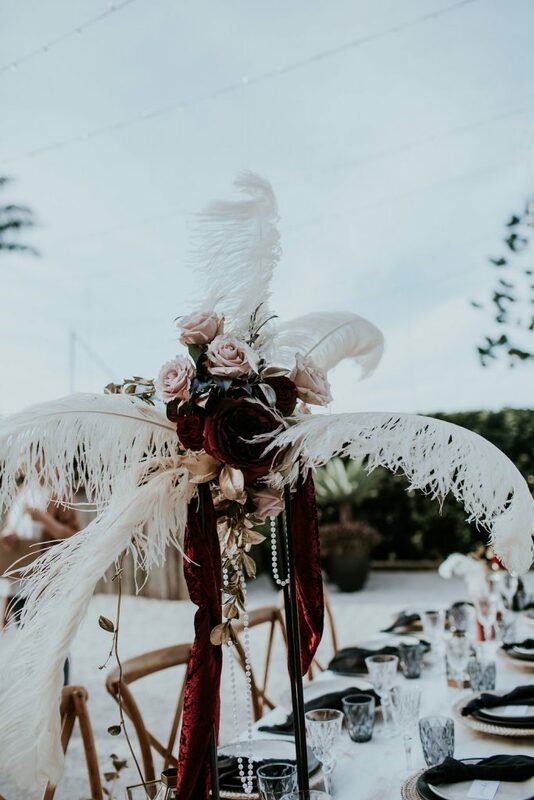 We saw old school charm with a gold arbour draped in maroon velvet, blush blooms, pearl beads and soft feathers. 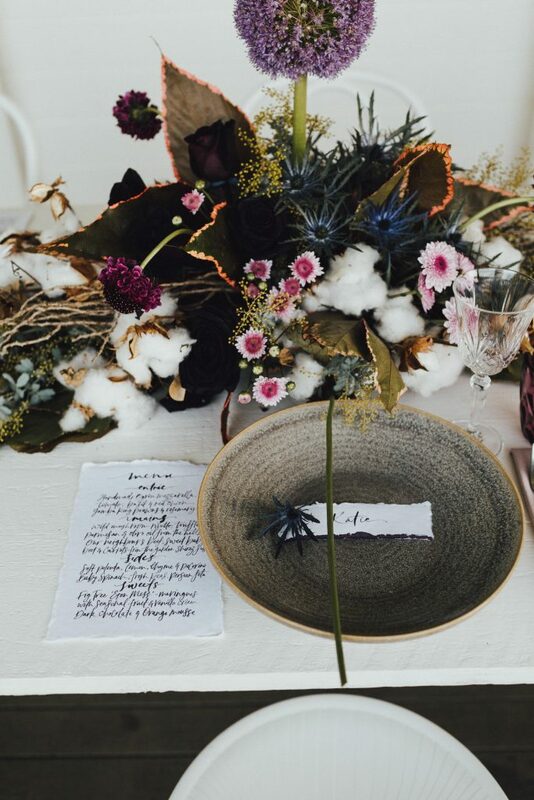 We came across tablescapes adorned with amethysts, crystal cut glassware, natural cotton and bespoke calligraphy dipped in purple watercolour. 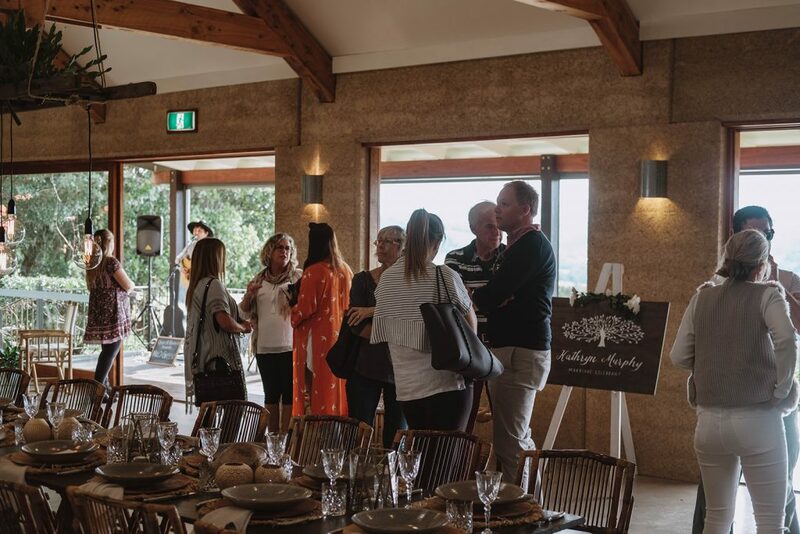 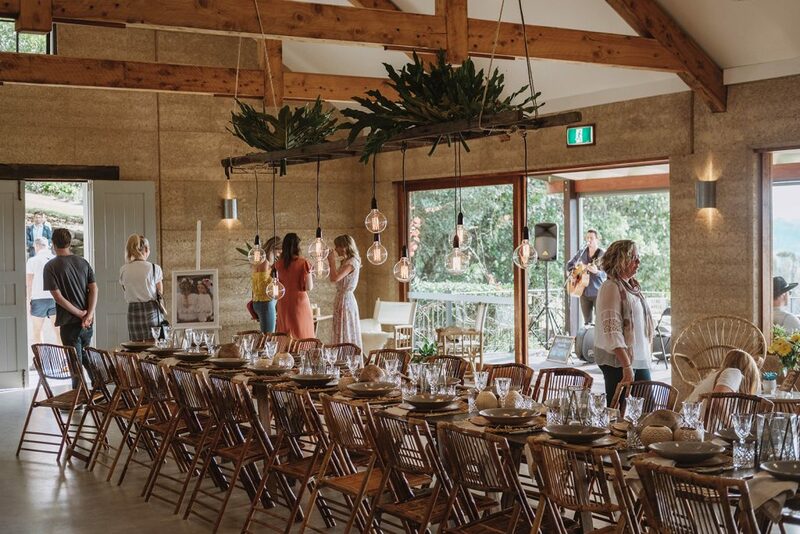 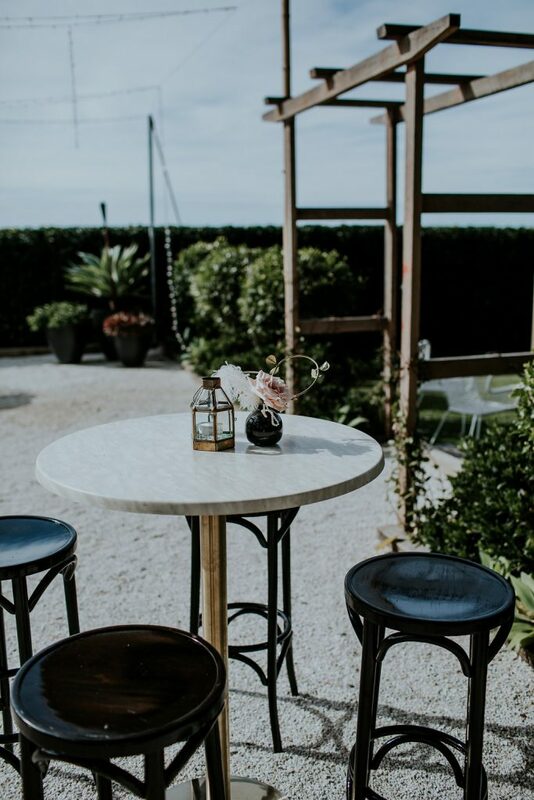 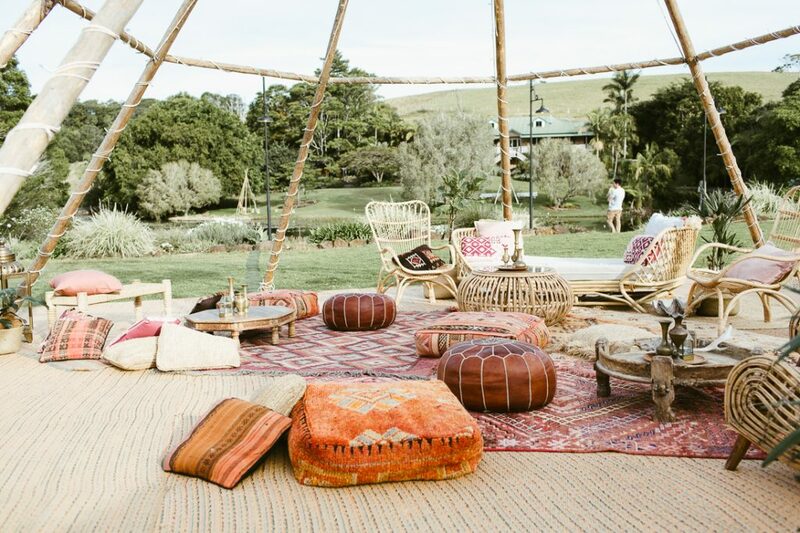 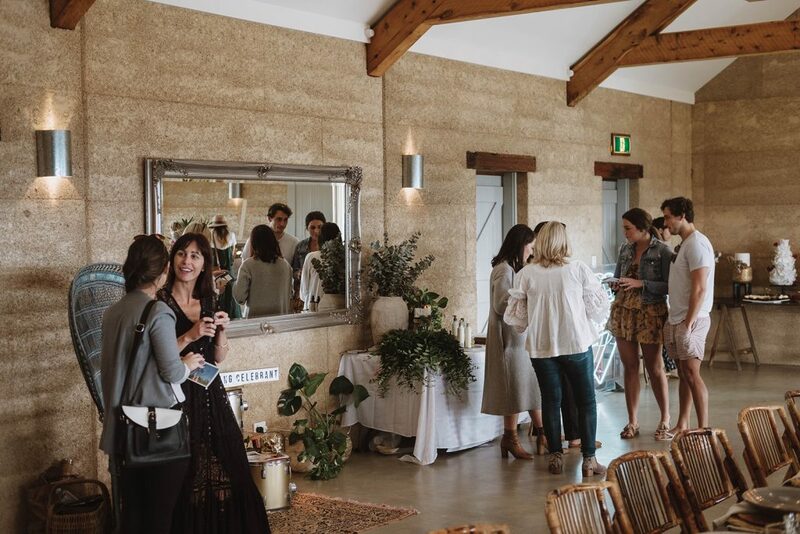 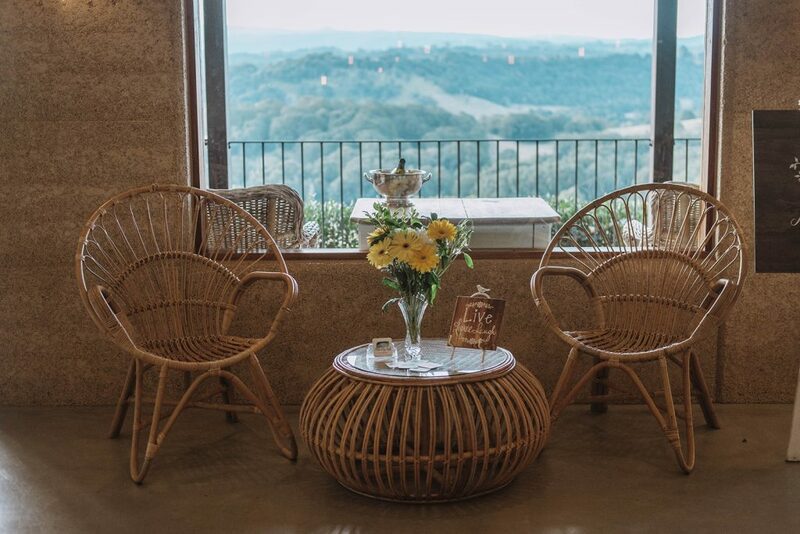 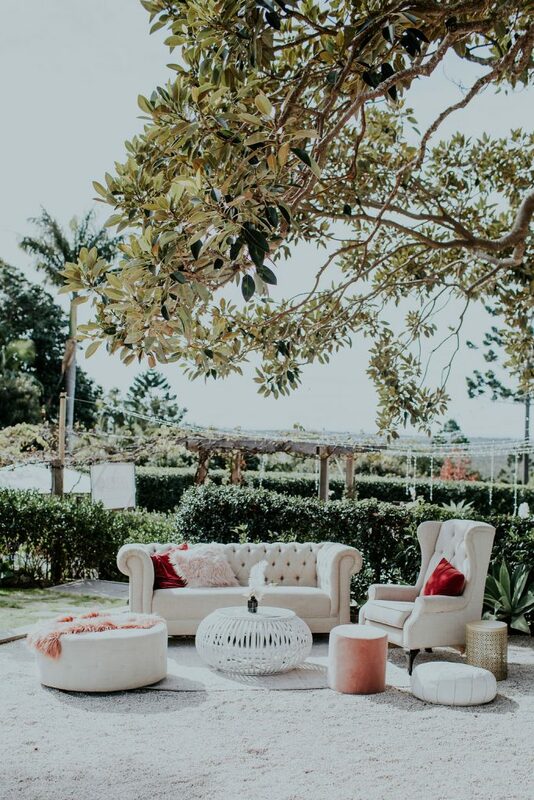 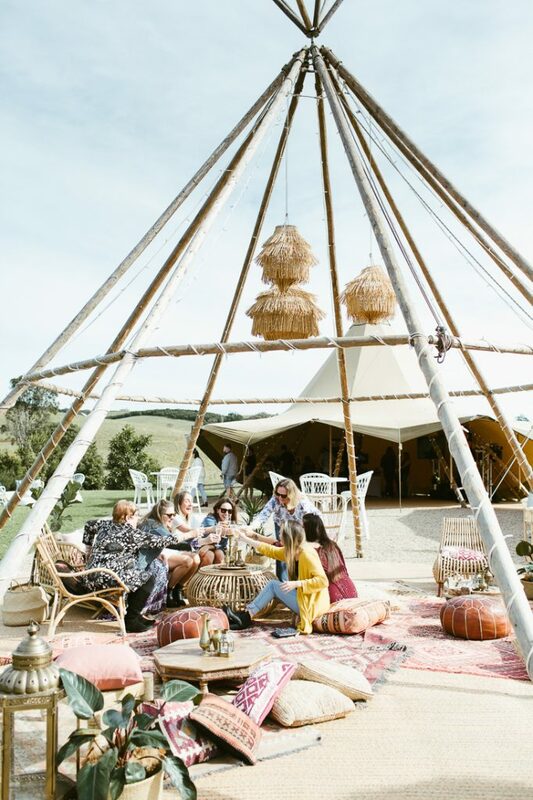 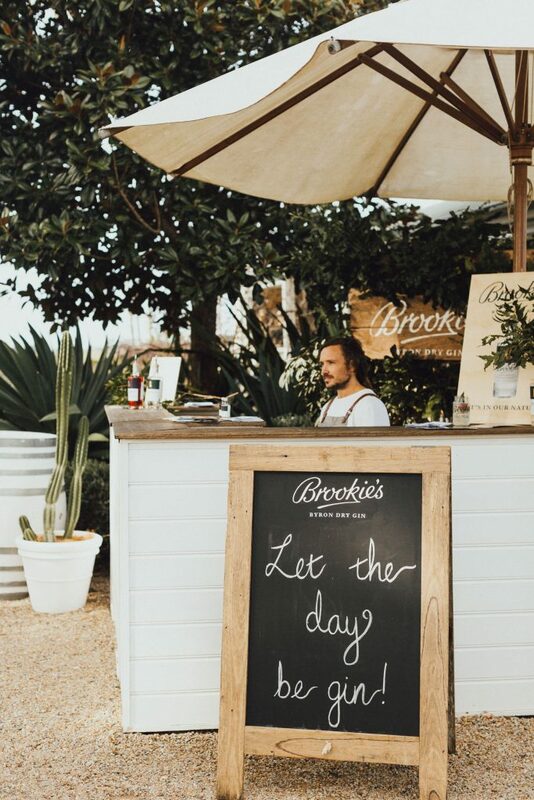 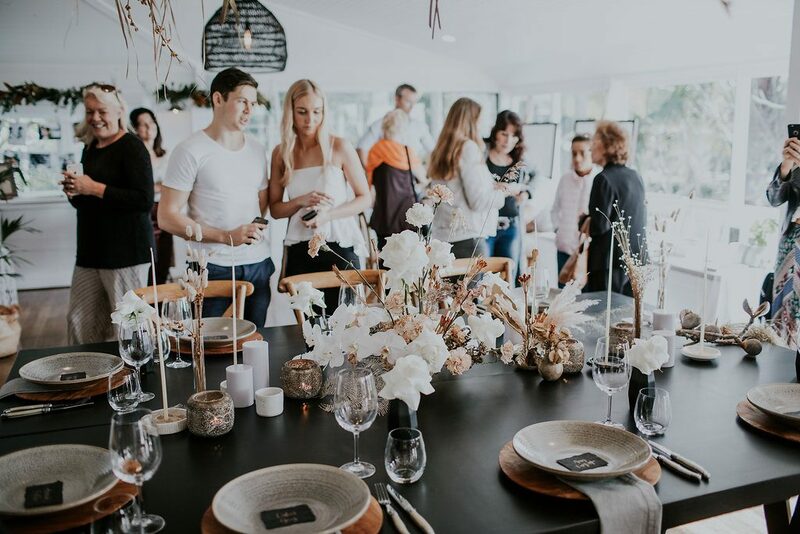 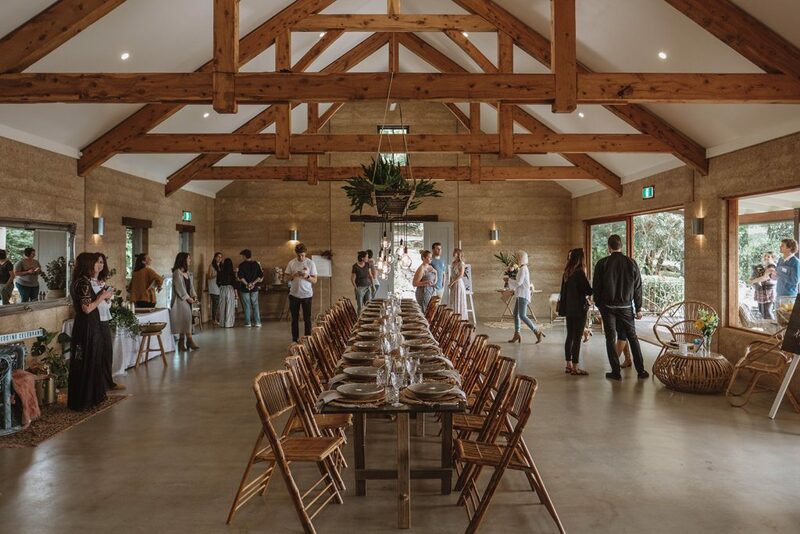 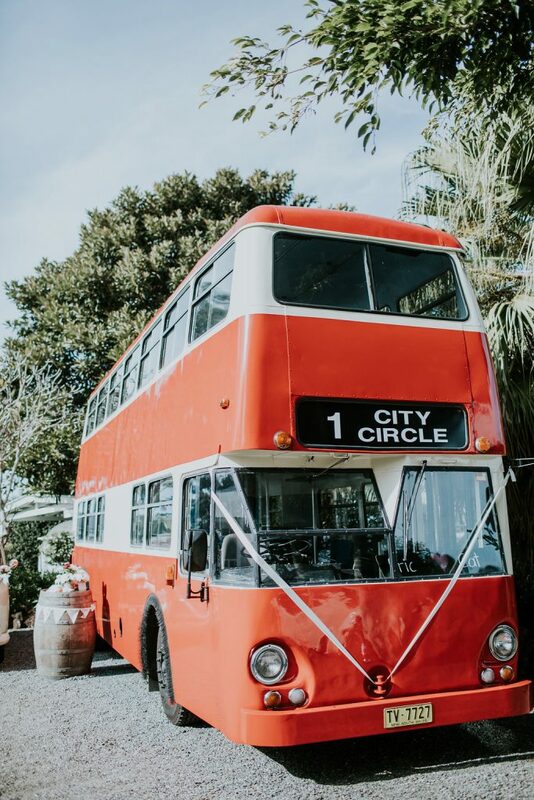 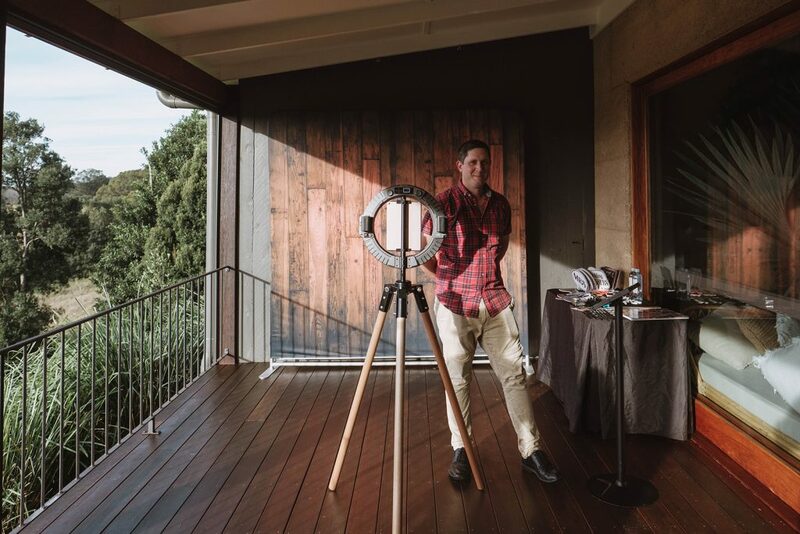 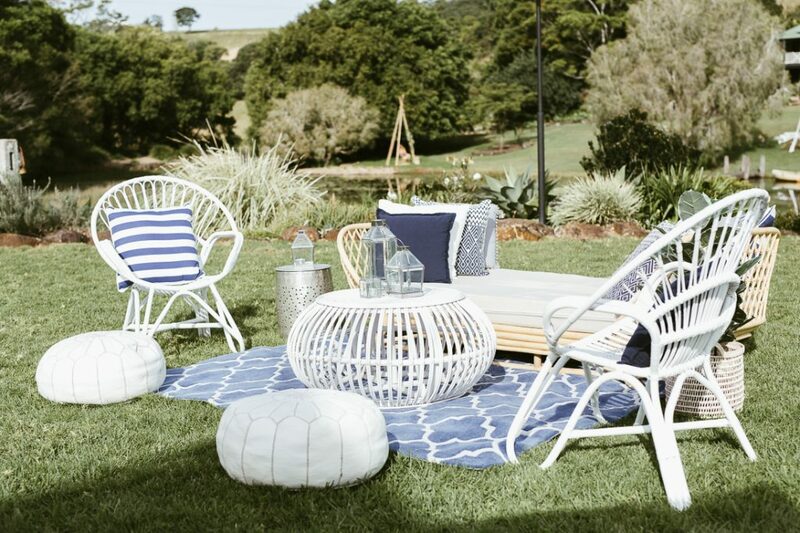 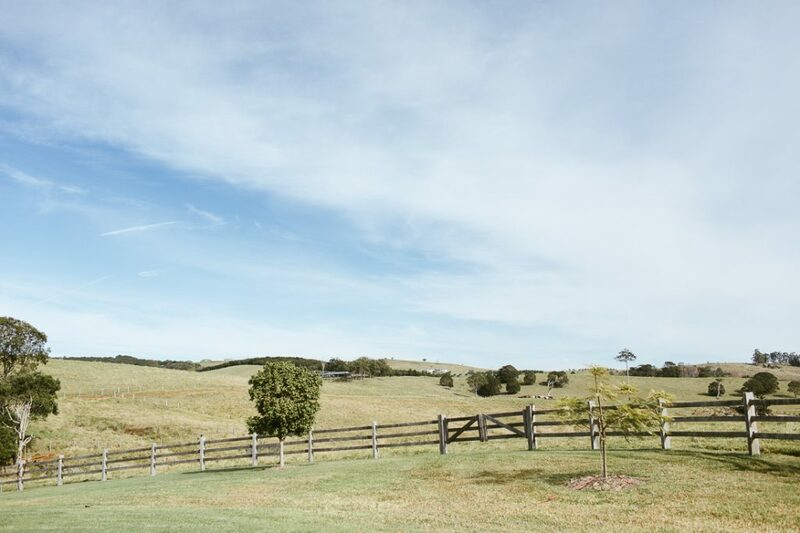 On top of the wonderful opportunity to meet and greet your ultimate ‘vendor dream team’, couples in search of the perfect wedding venue had access to experience 12 of Byron’s most sought-after properties over one weekend. 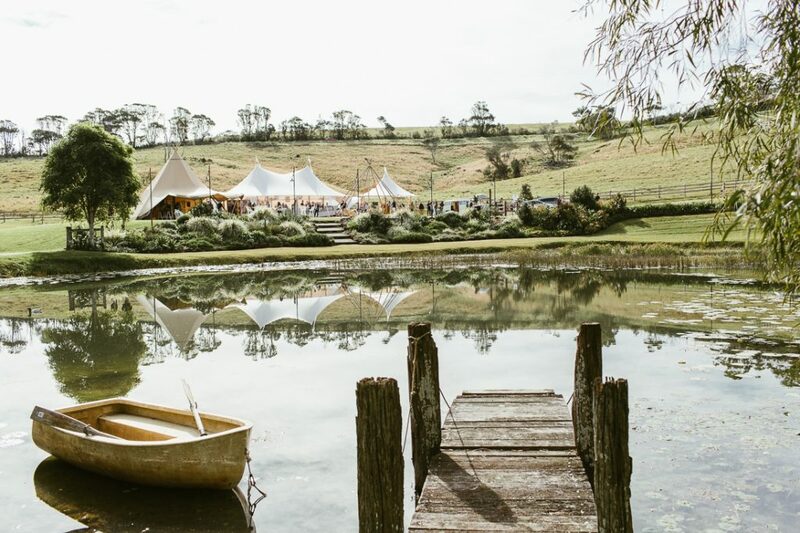 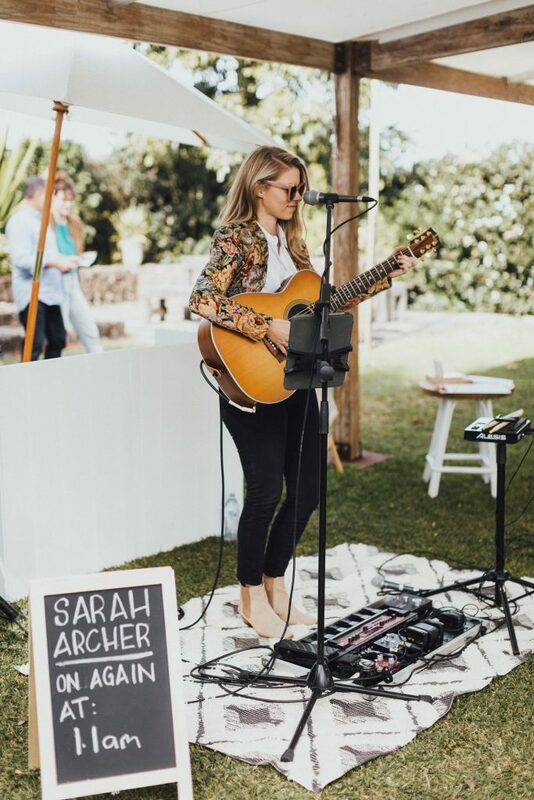 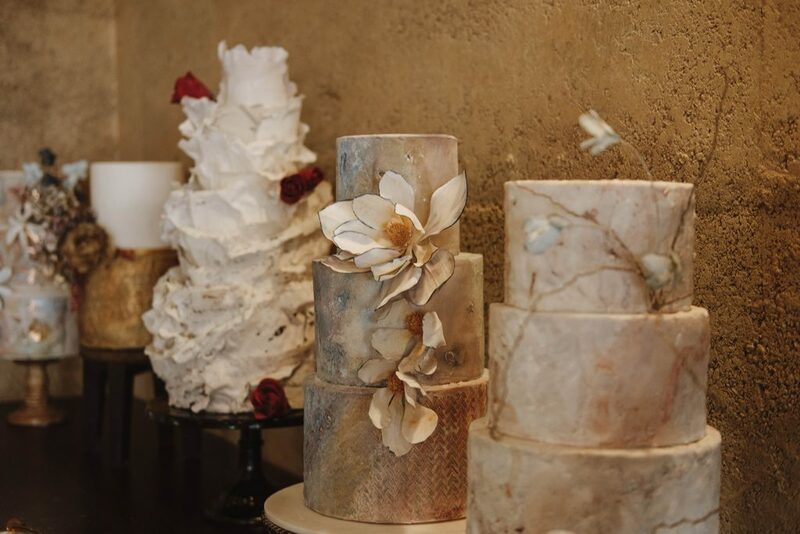 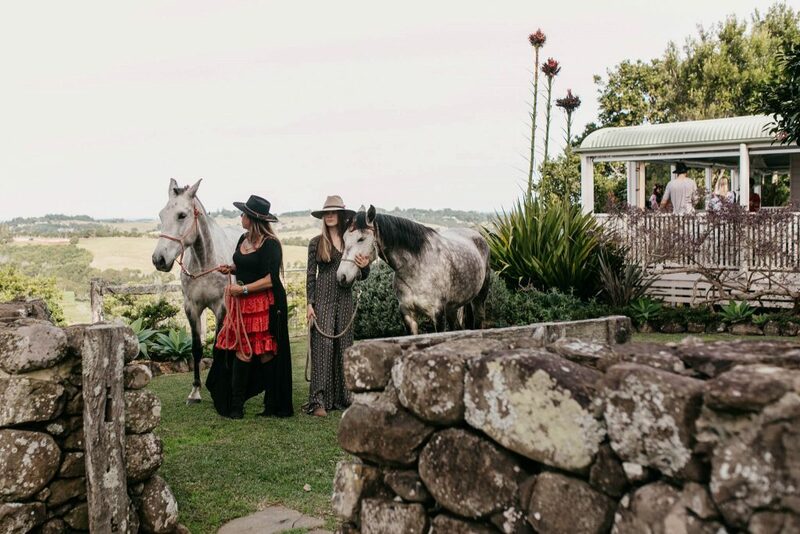 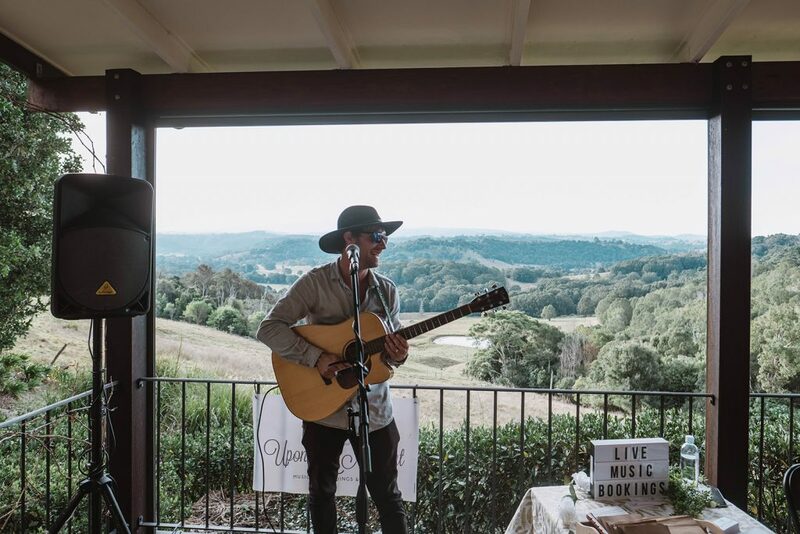 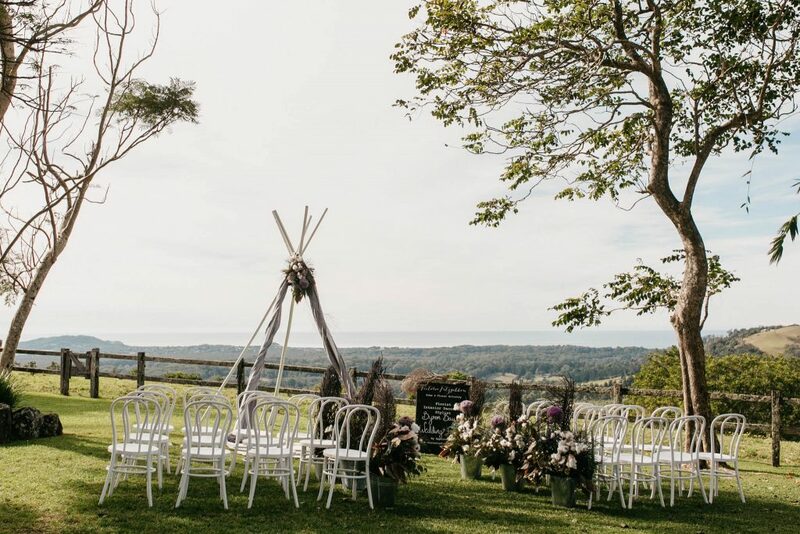 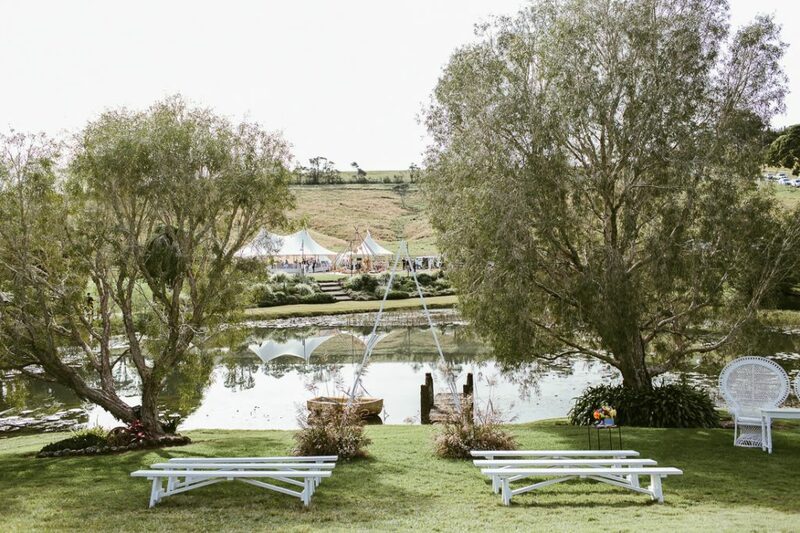 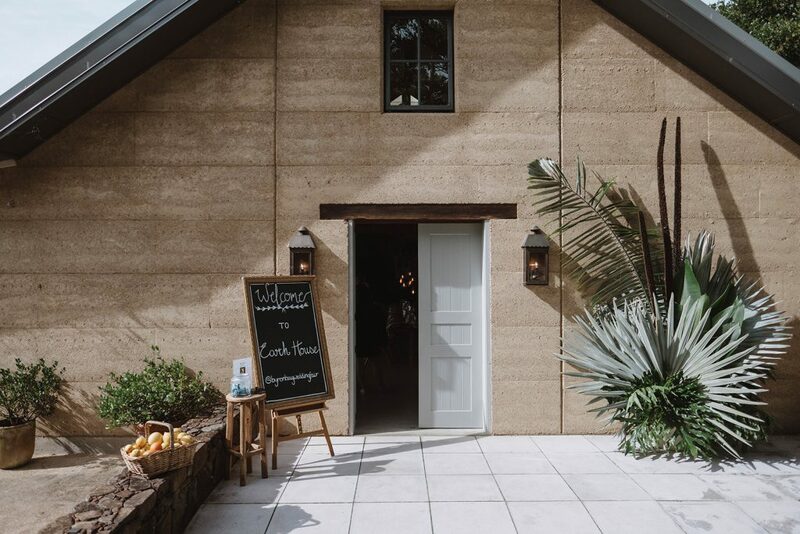 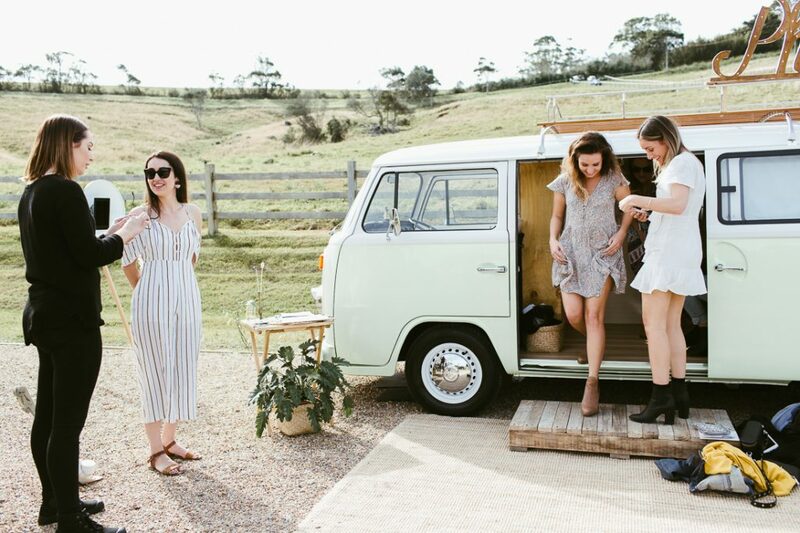 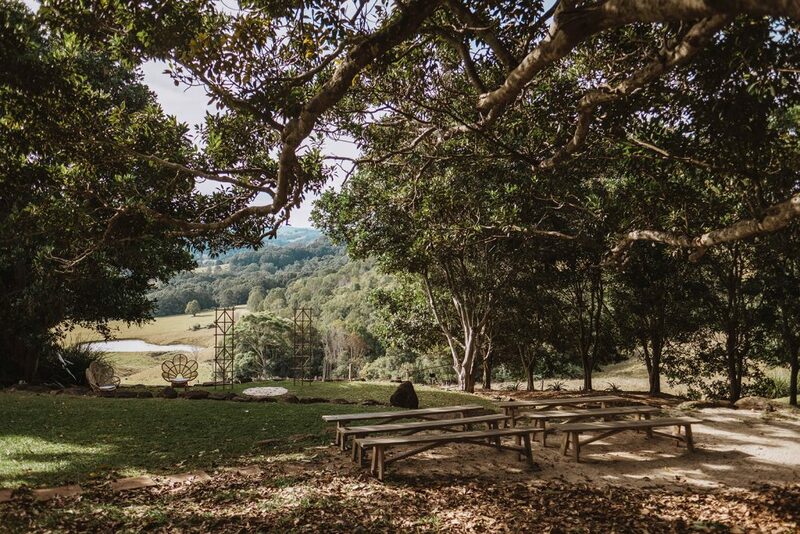 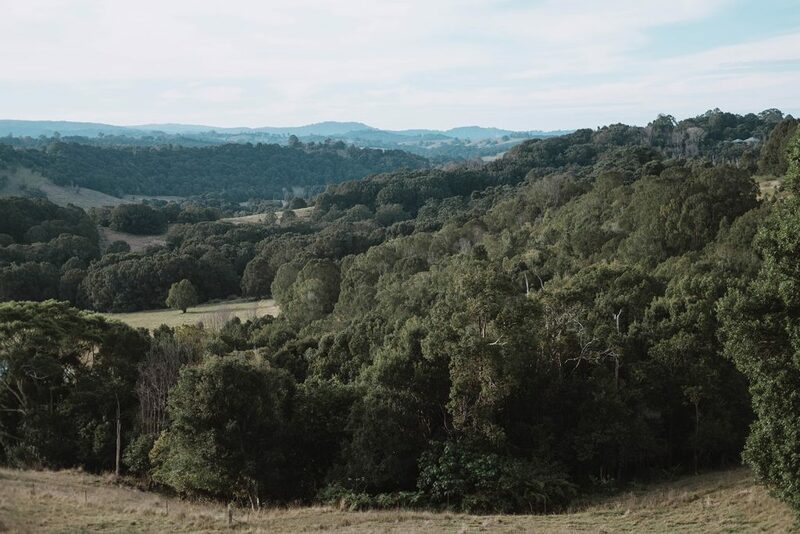 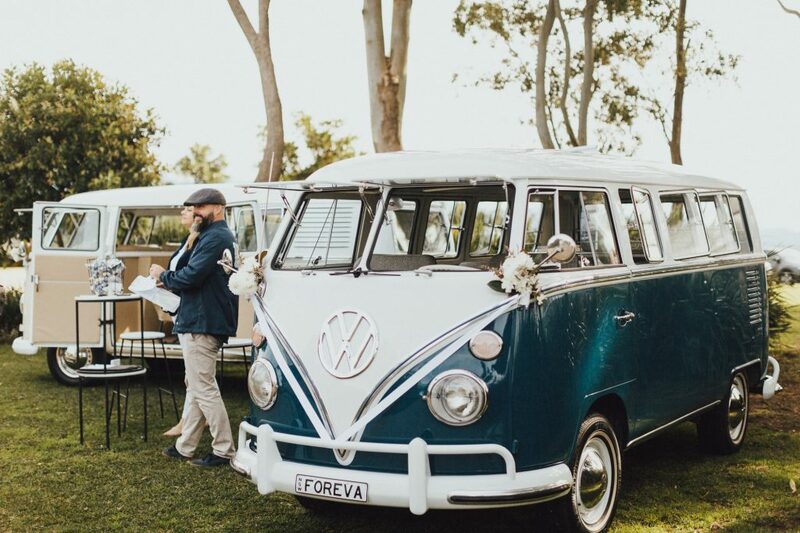 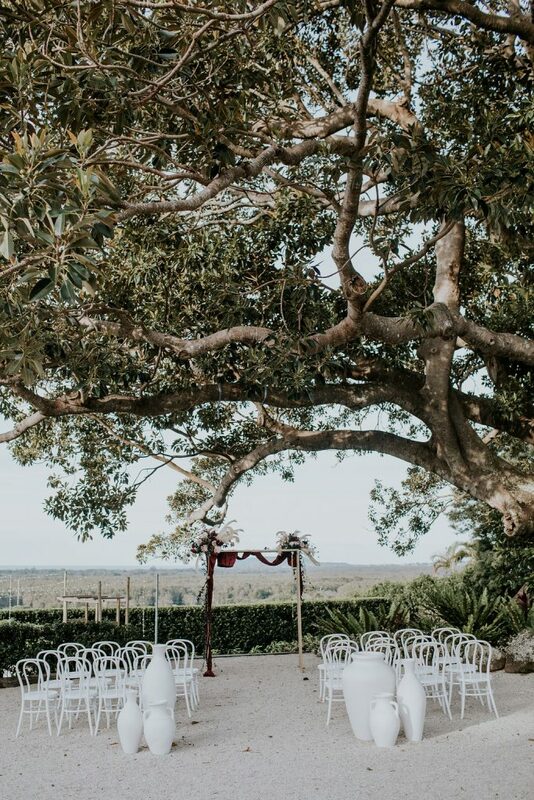 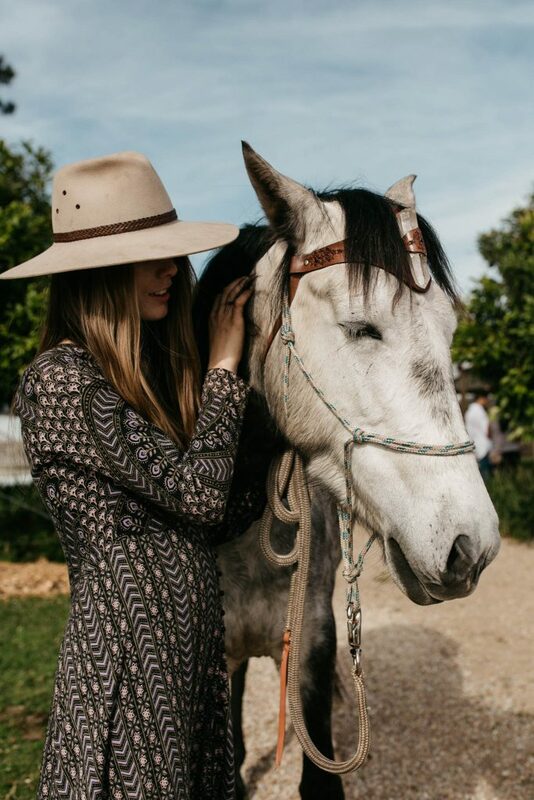 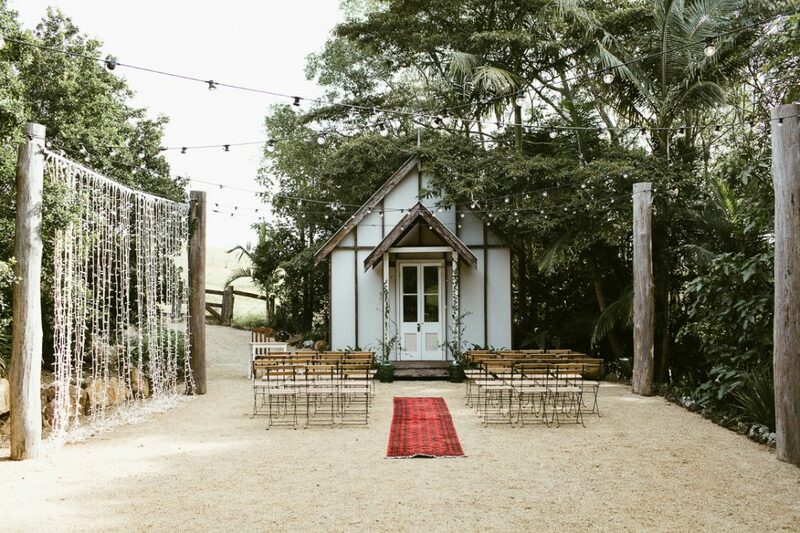 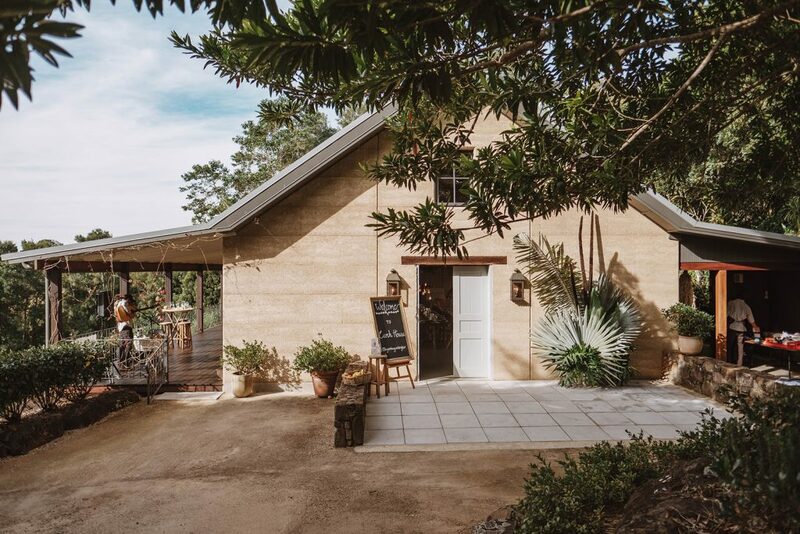 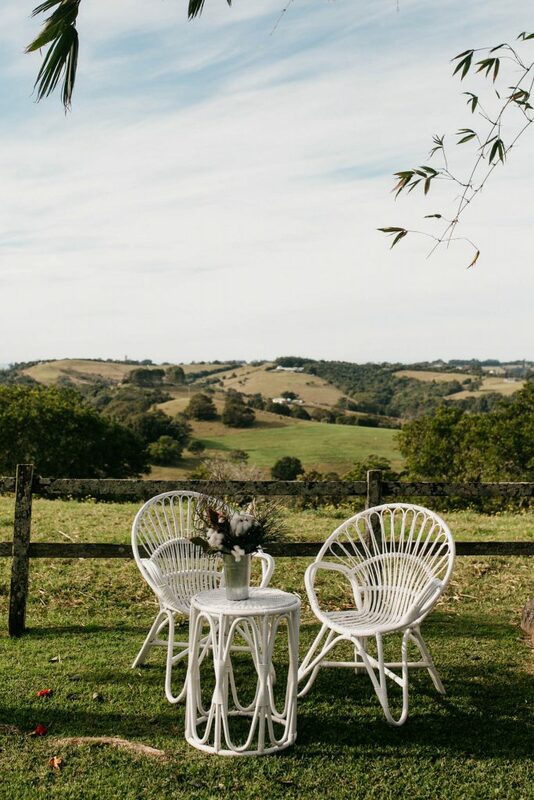 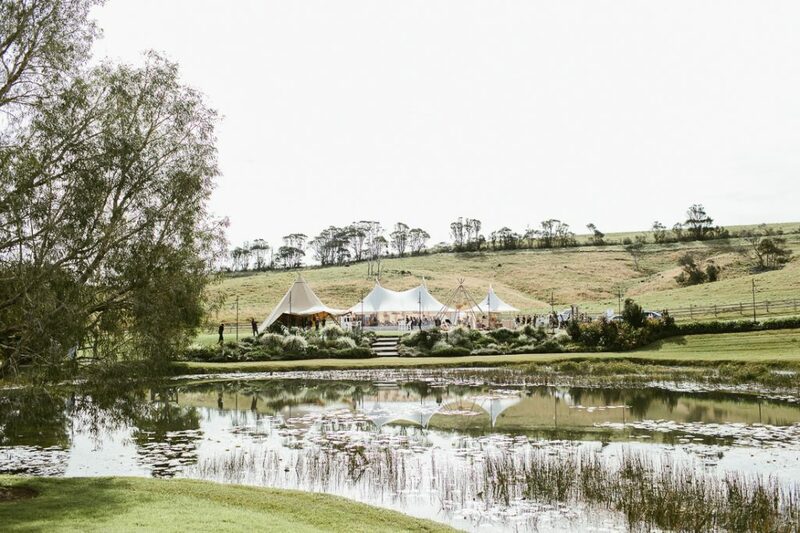 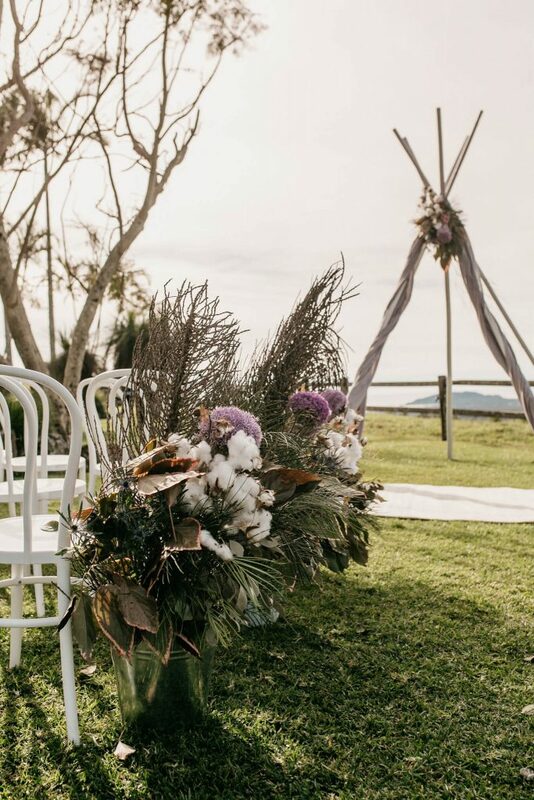 Adventuring through the stunning Byron region, seeing awe-inspiring displays, live musicians and trying delicious tastes, it’s easy to see why our annual wedding fair attracts so many couples from all over Australia each year. 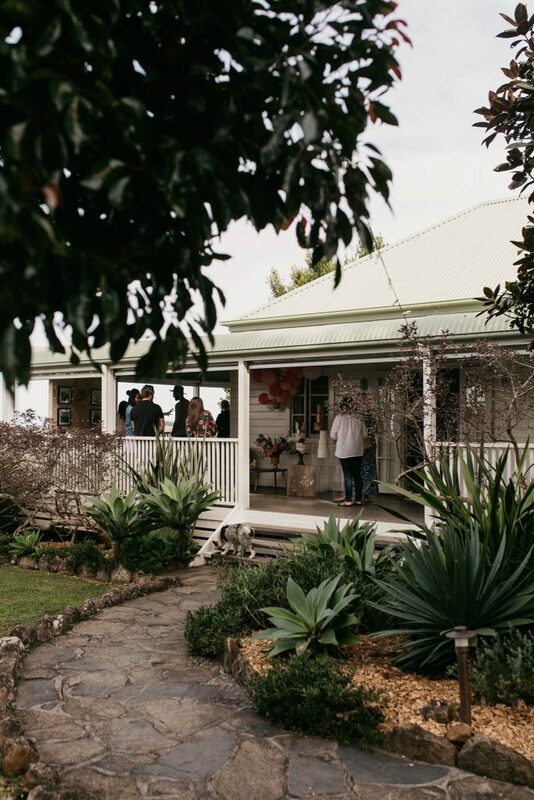 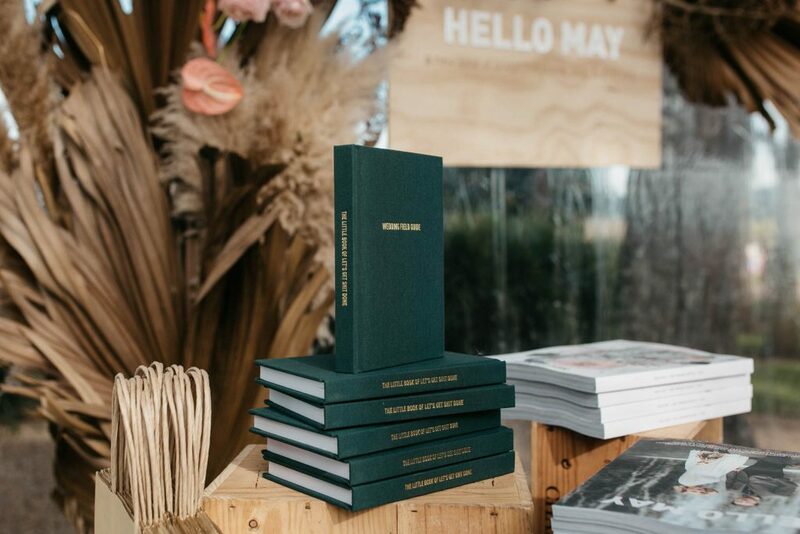 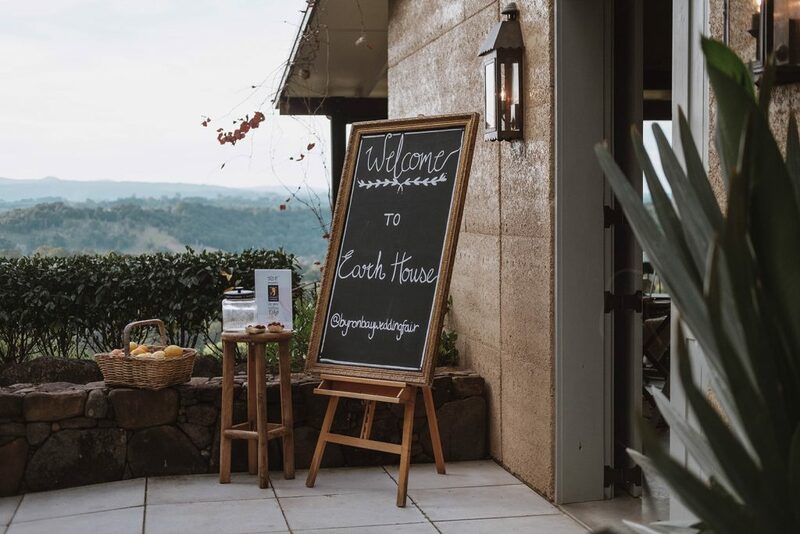 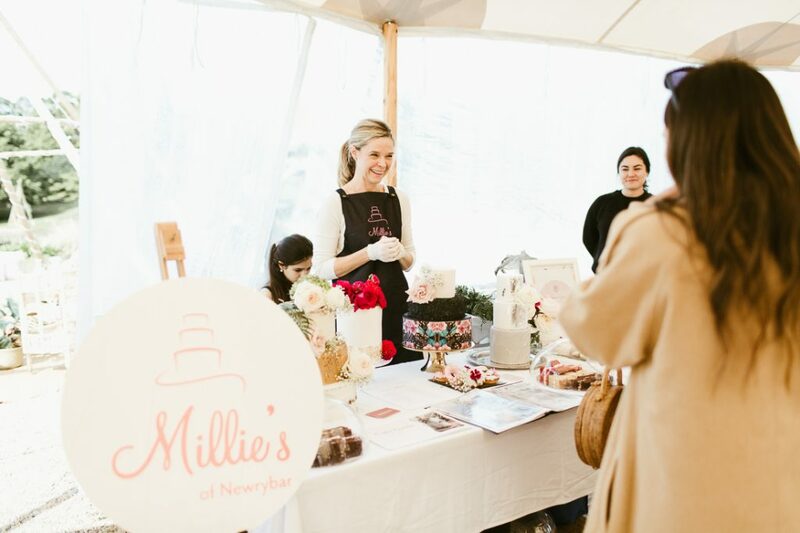 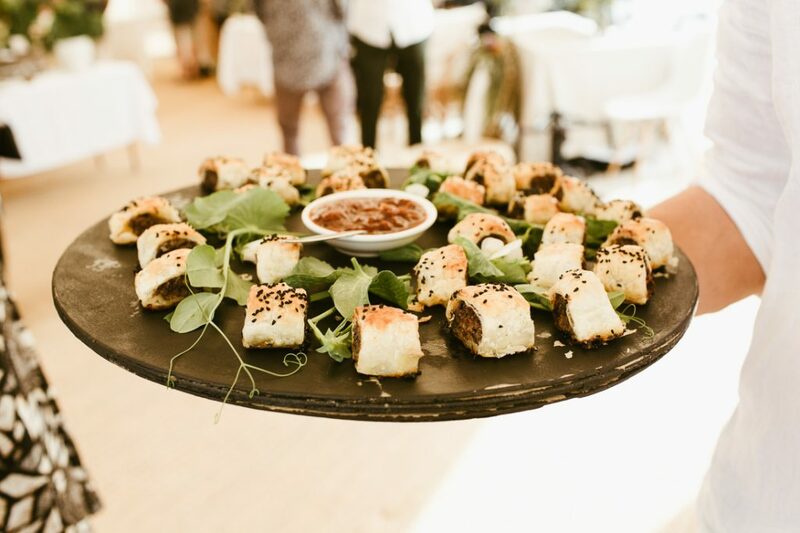 The following venues participated in this year’s fair – The Earth House, Forget Me Not, byronviewfarm, Fig Tree Restaurant, Bangalow Guesthouse, The Orchard Estate, Victoria’s Ewingsdale, Barefoot at Broken Head, The Belongil, Hinterland House, Harvest Newrybar, The Figs Byron.